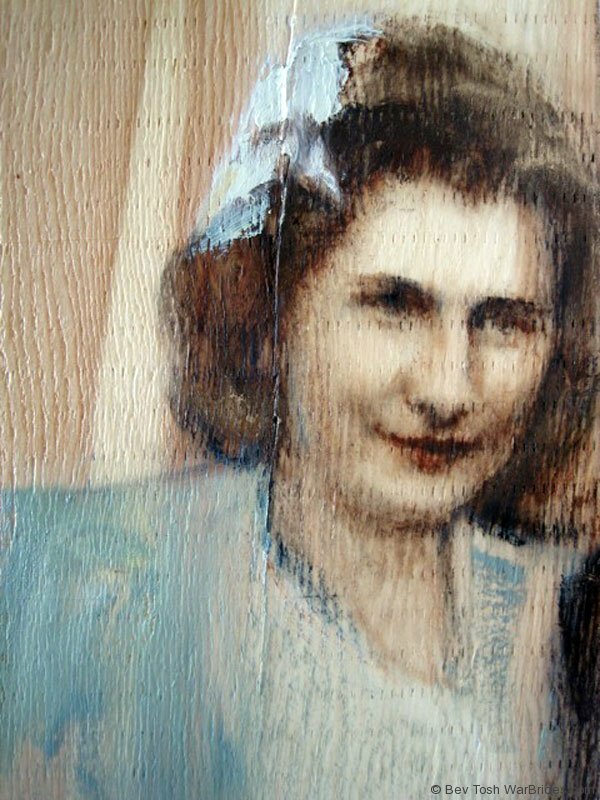 Shoulder-to-Shoulder, oil on wood, each: 4 ft. by 1 ft. 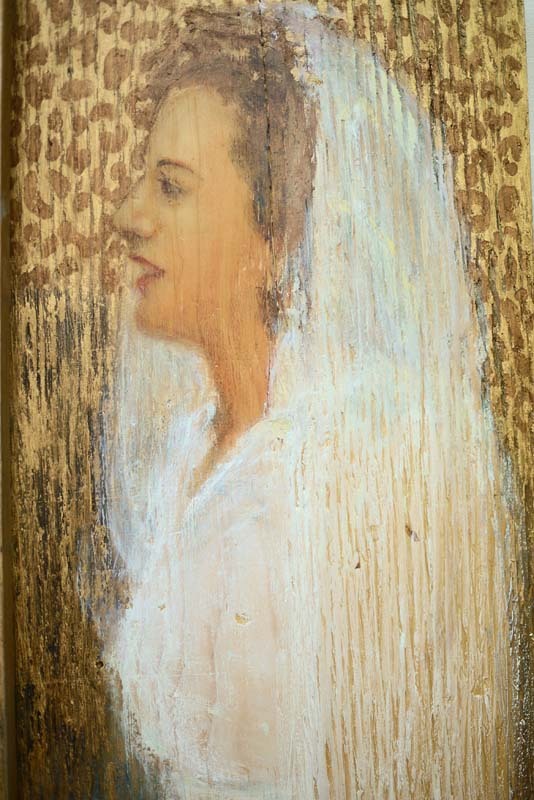 These individual bridal portraits, based on original photographs of each young woman on her wedding day, form the core of the exhibition. 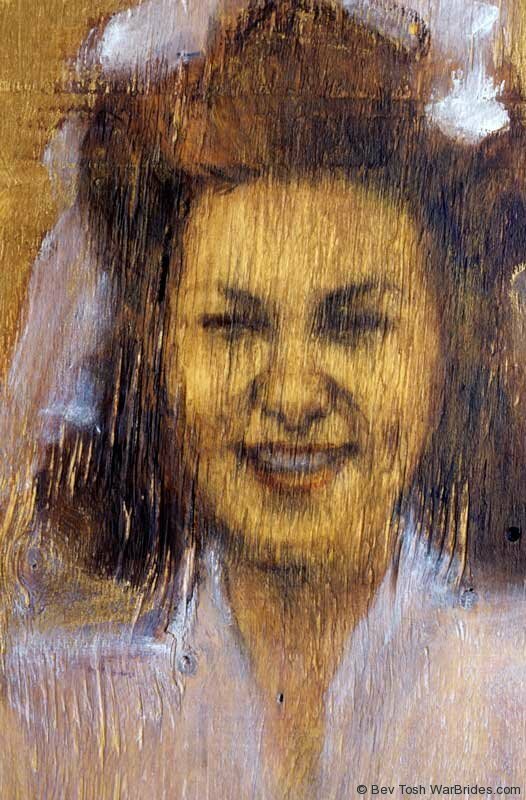 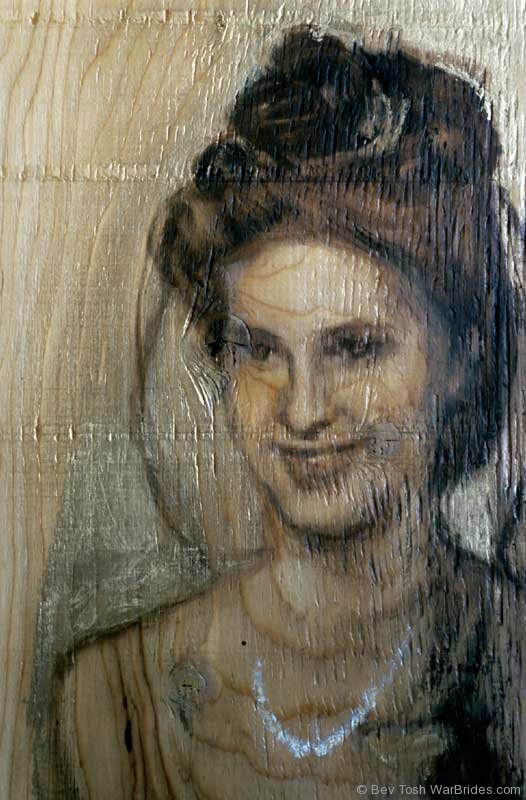 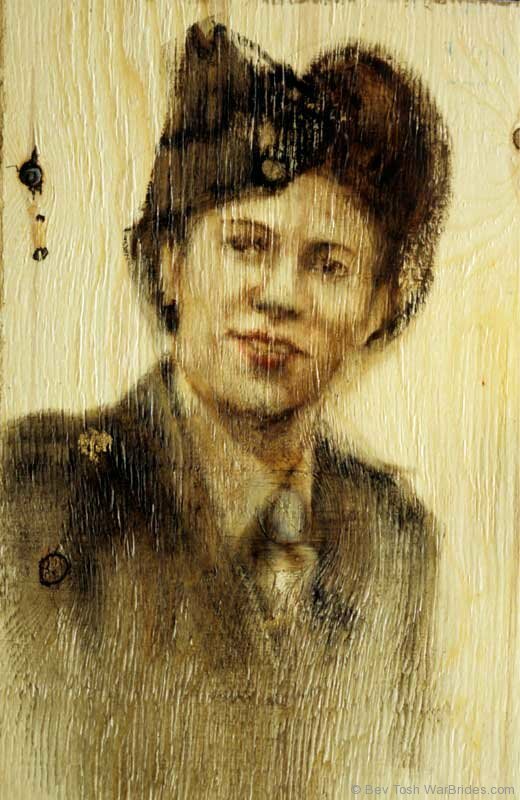 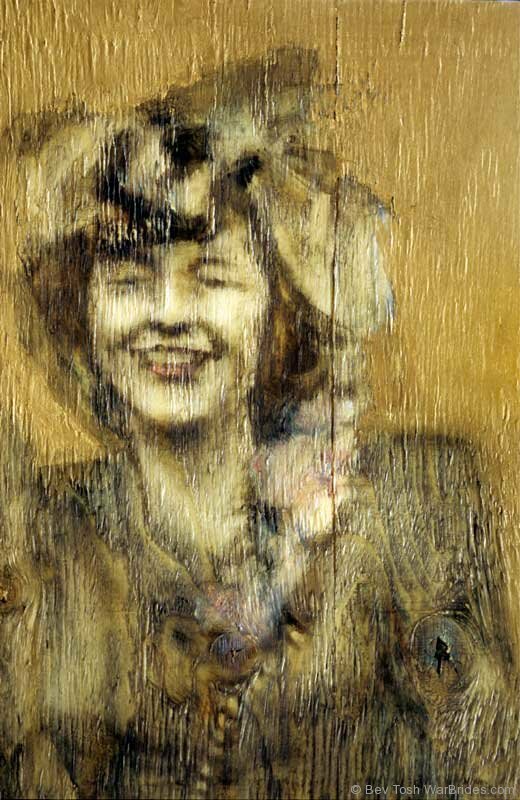 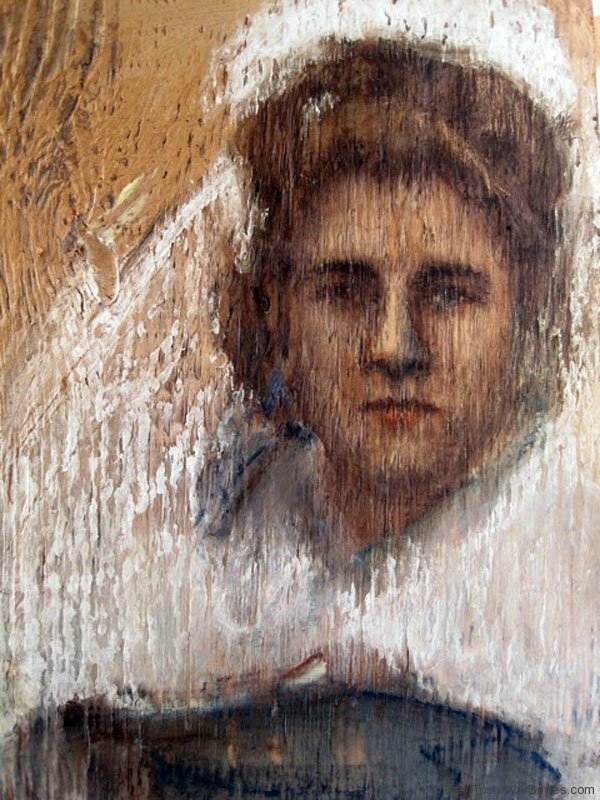 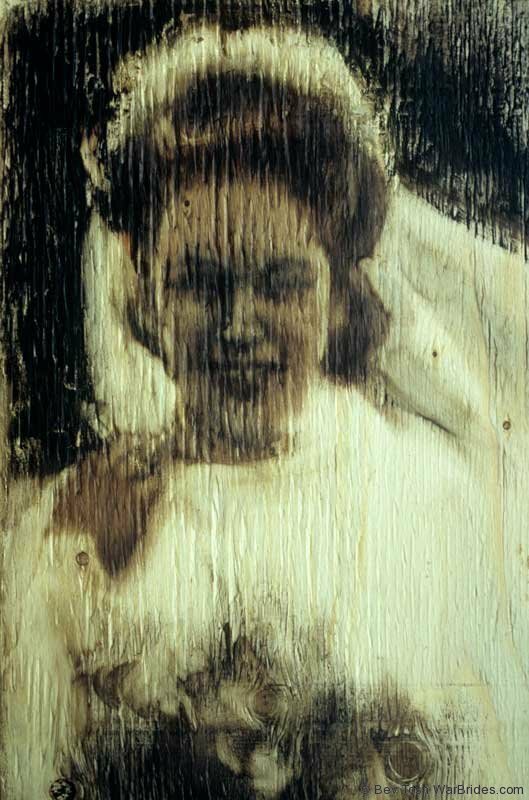 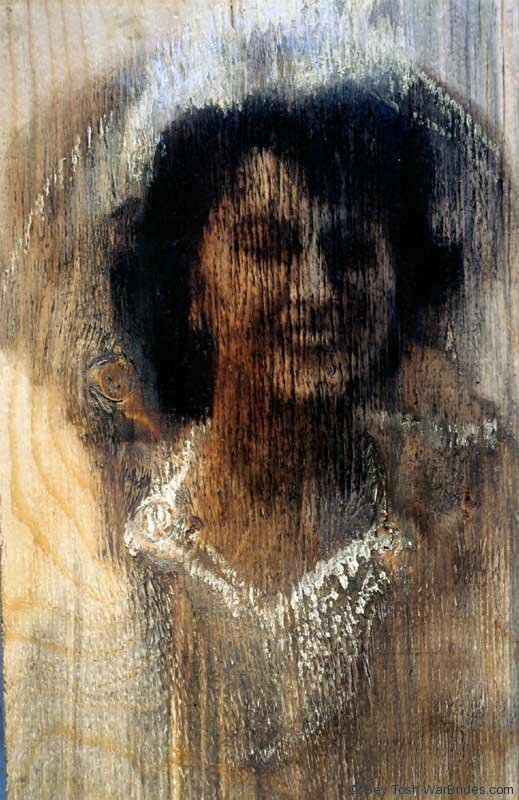 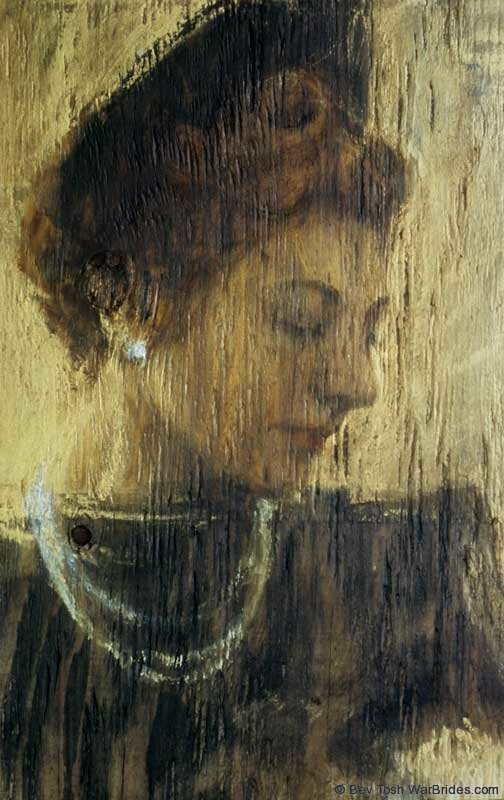 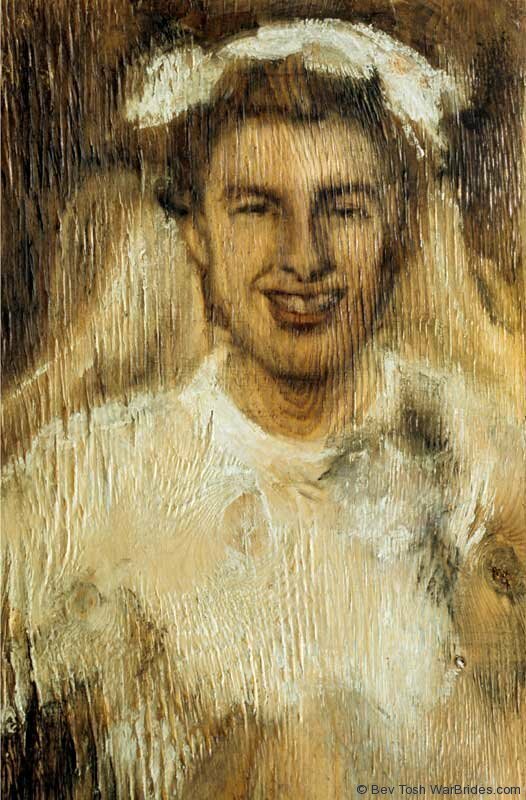 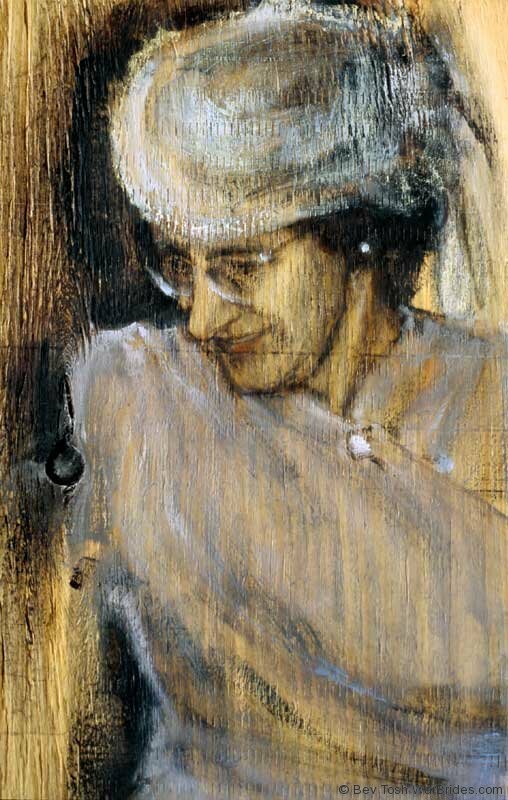 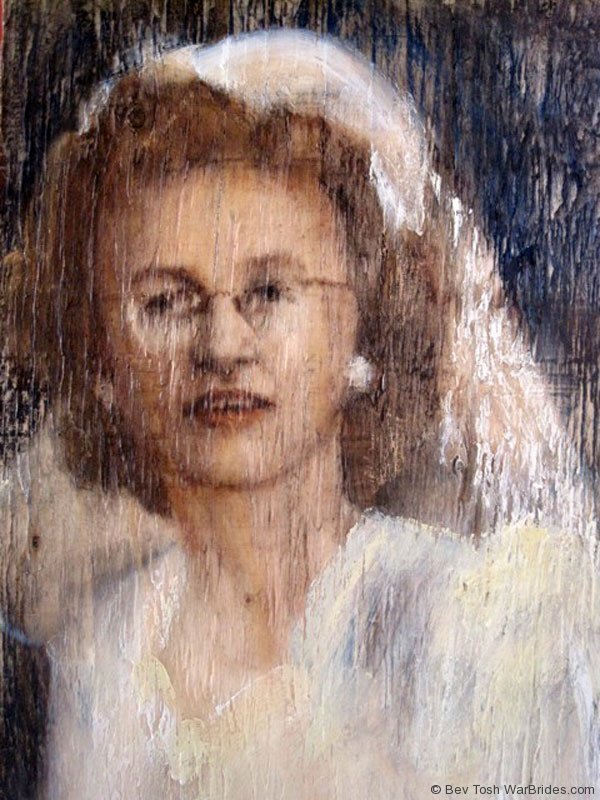 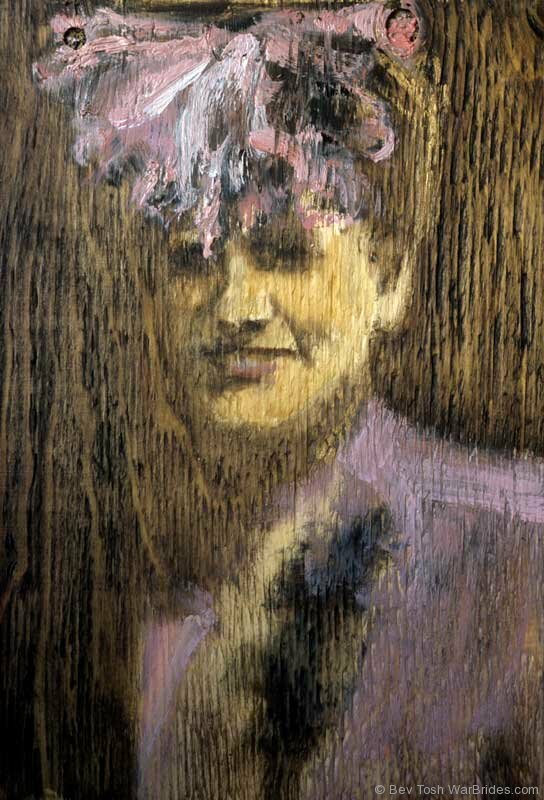 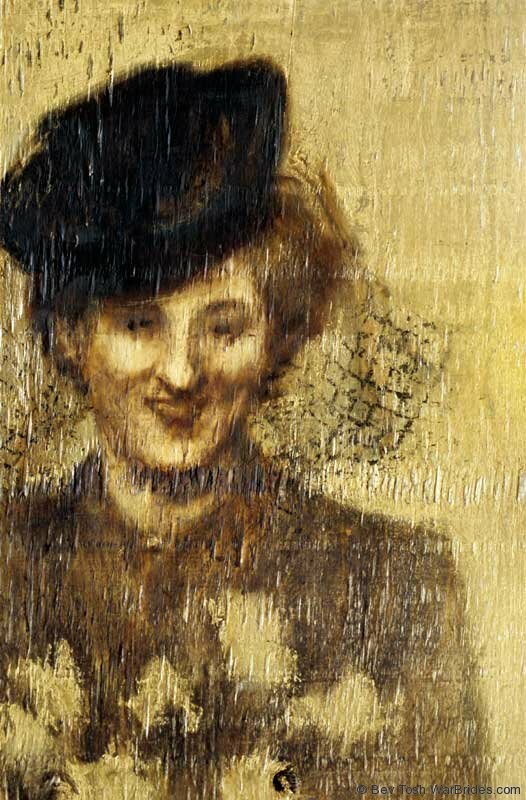 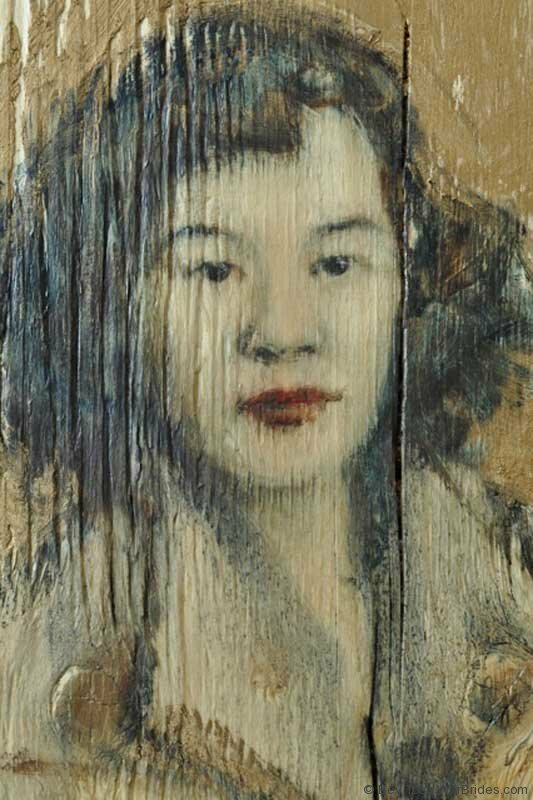 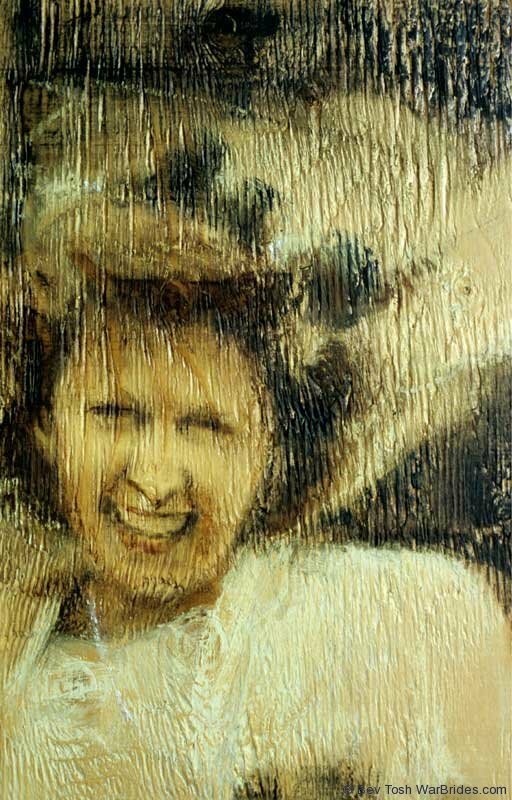 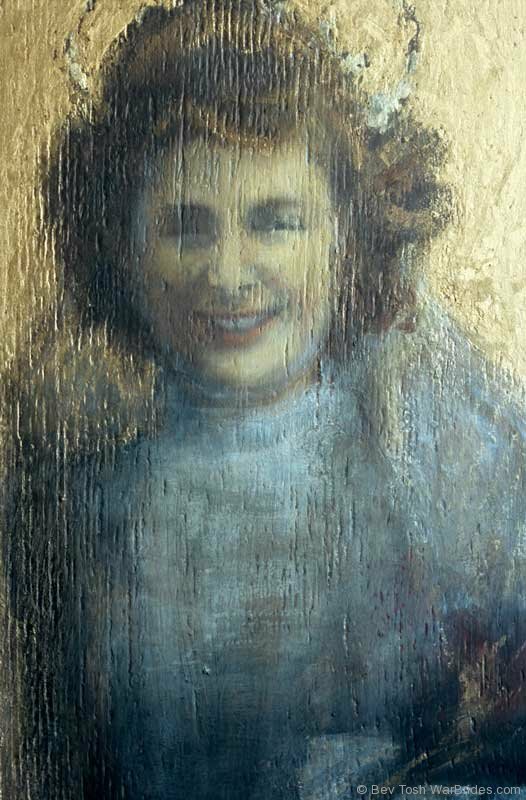 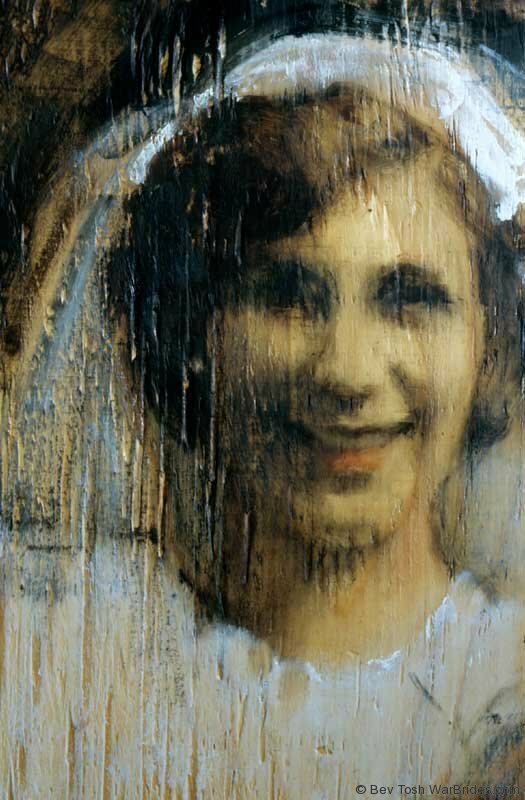 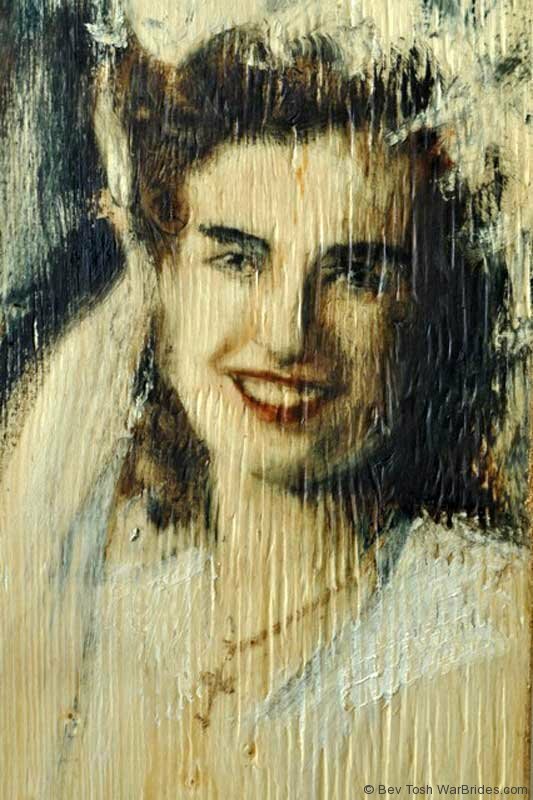 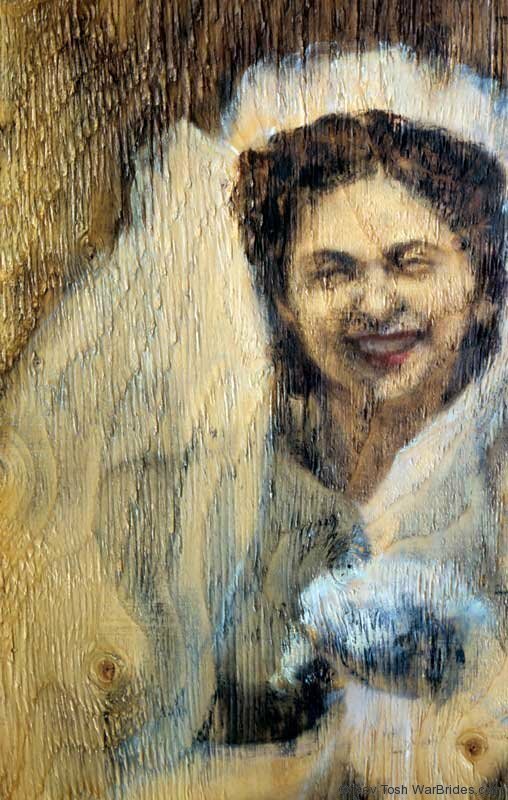 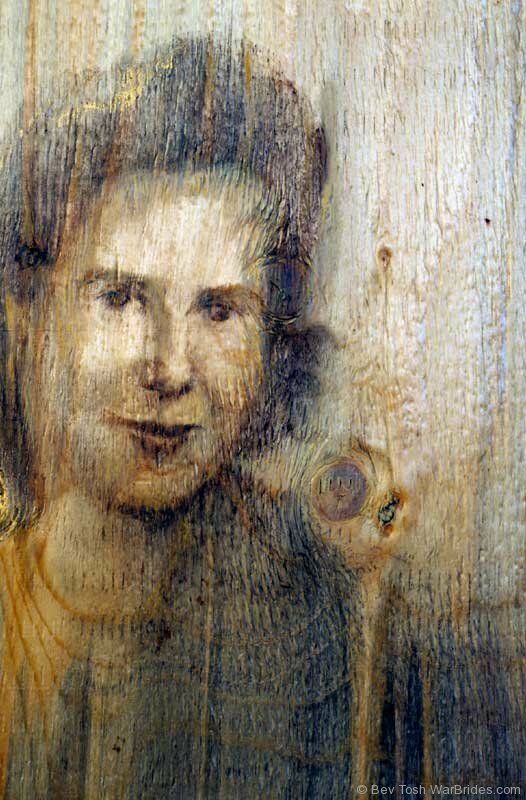 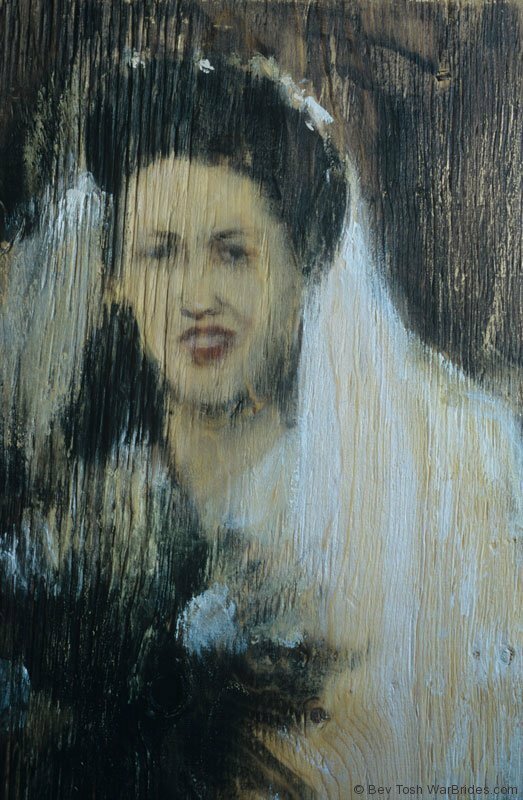 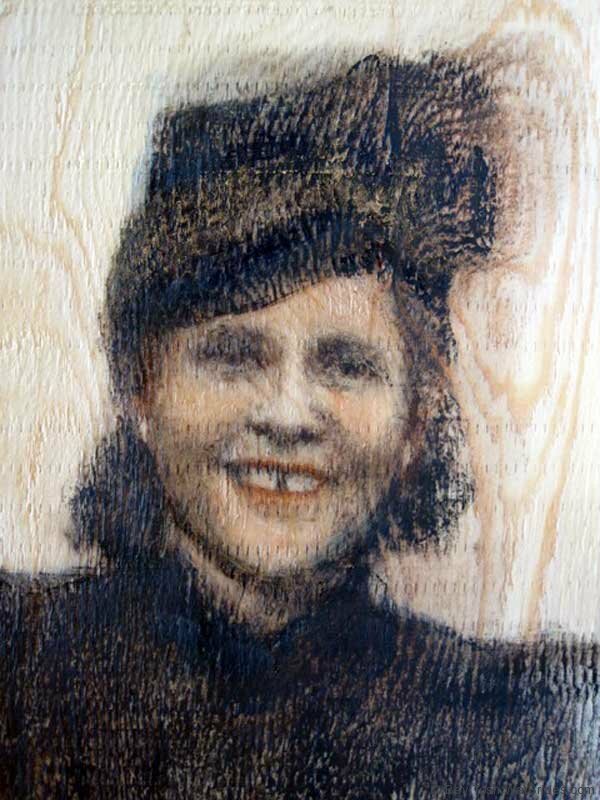 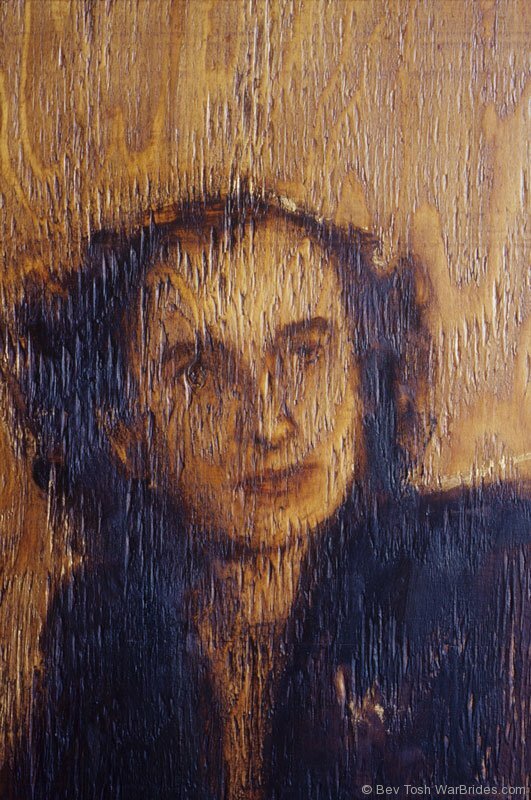 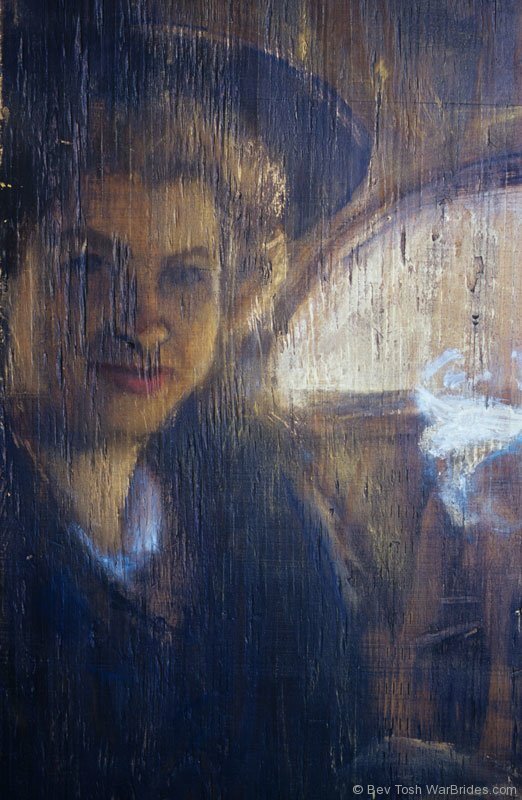 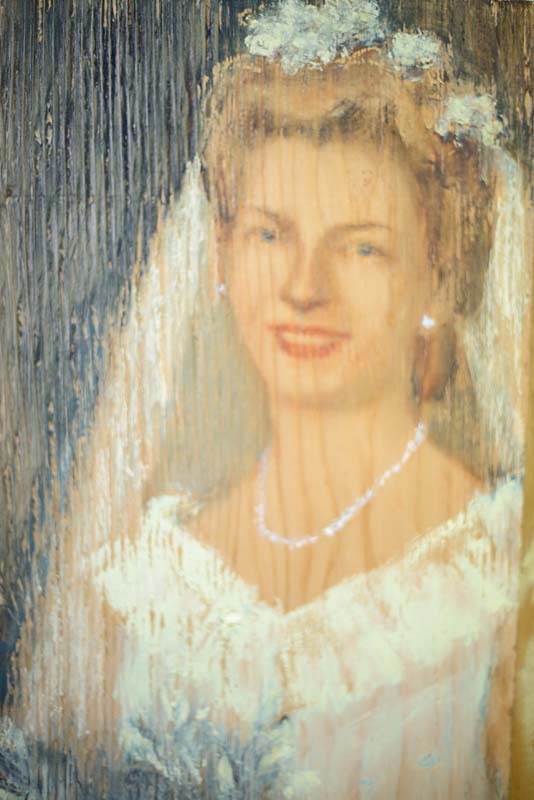 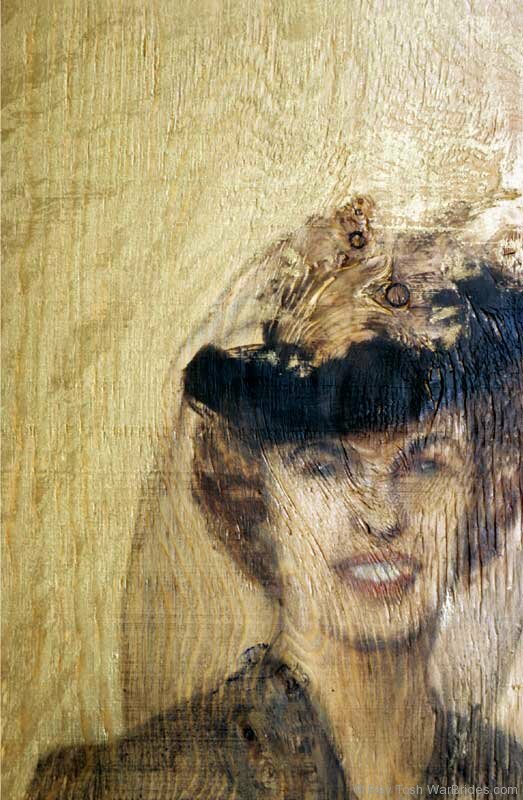 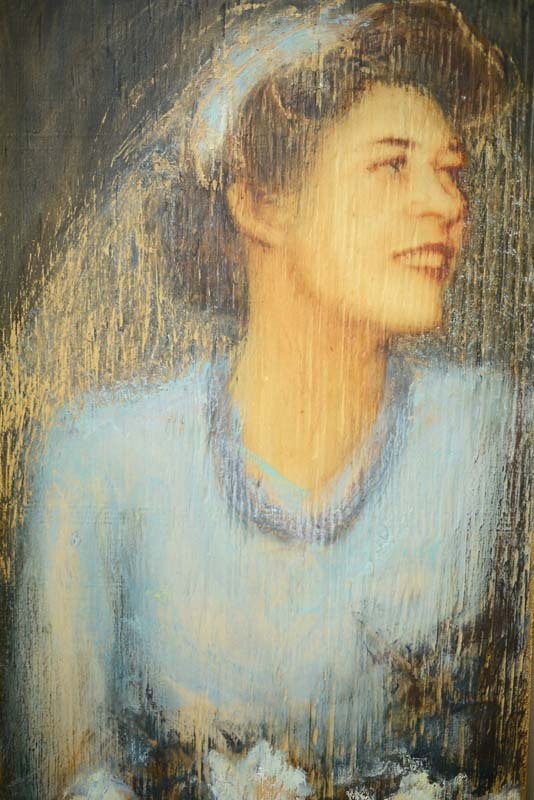 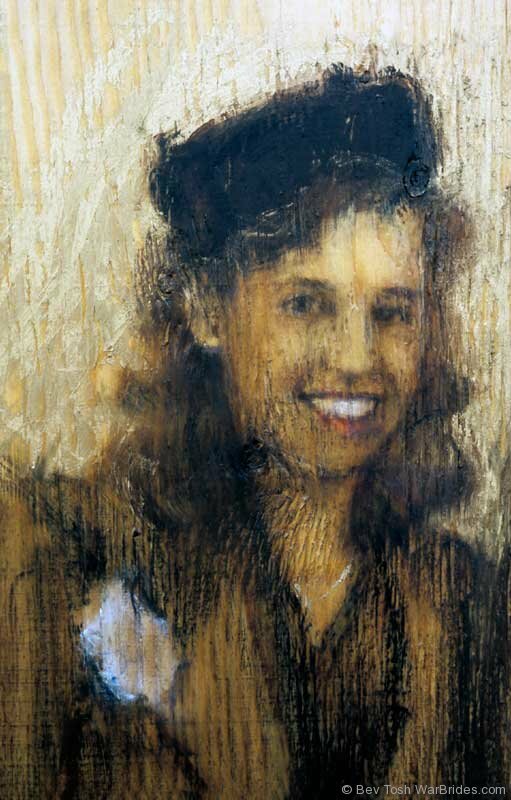 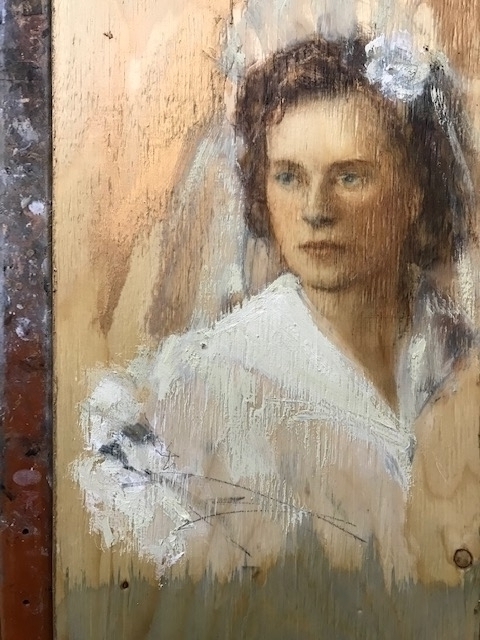 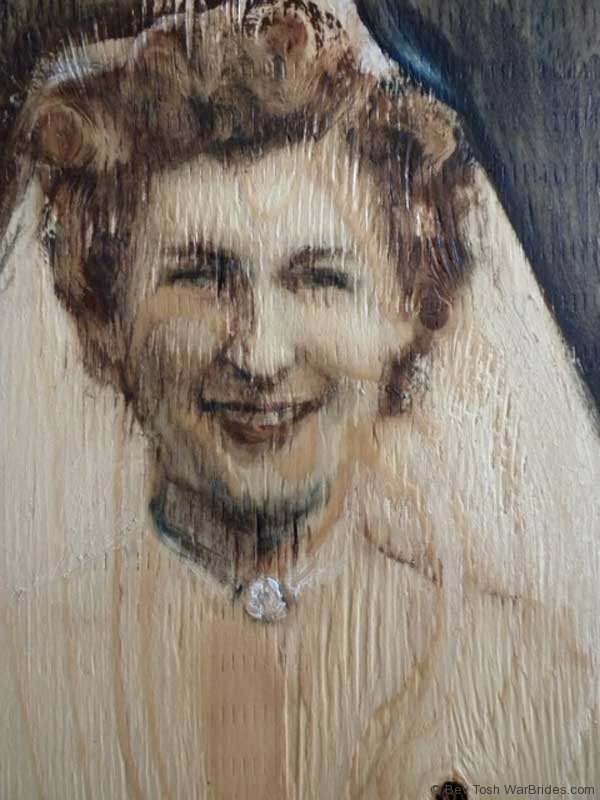 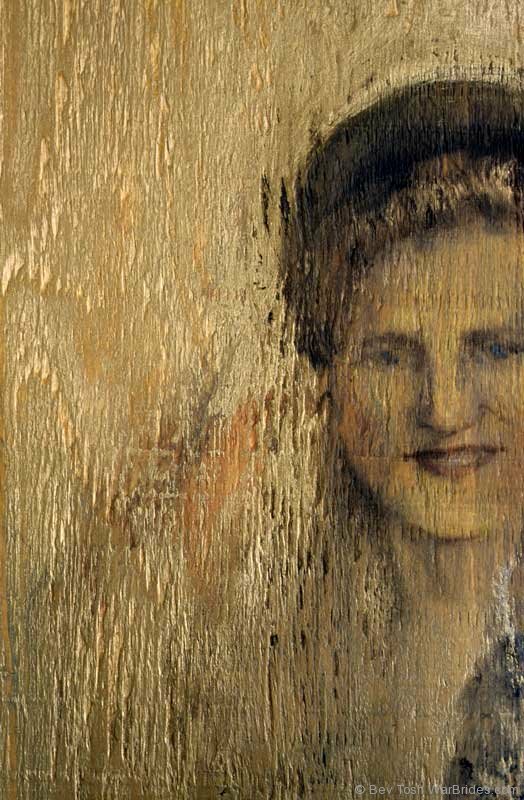 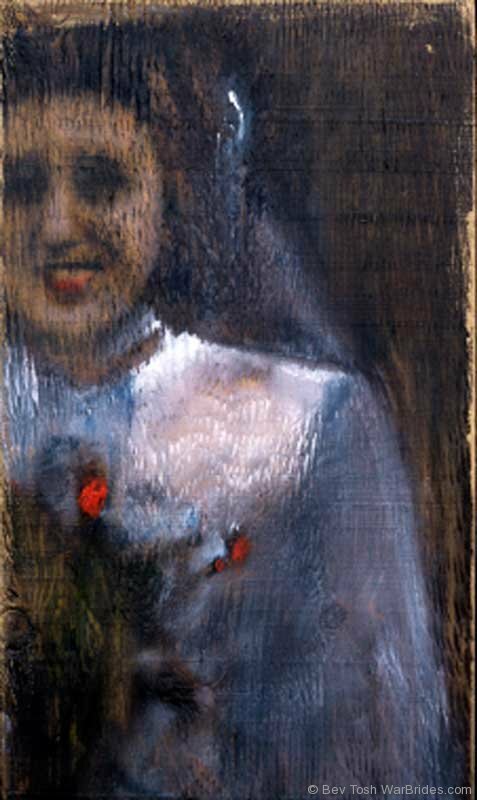 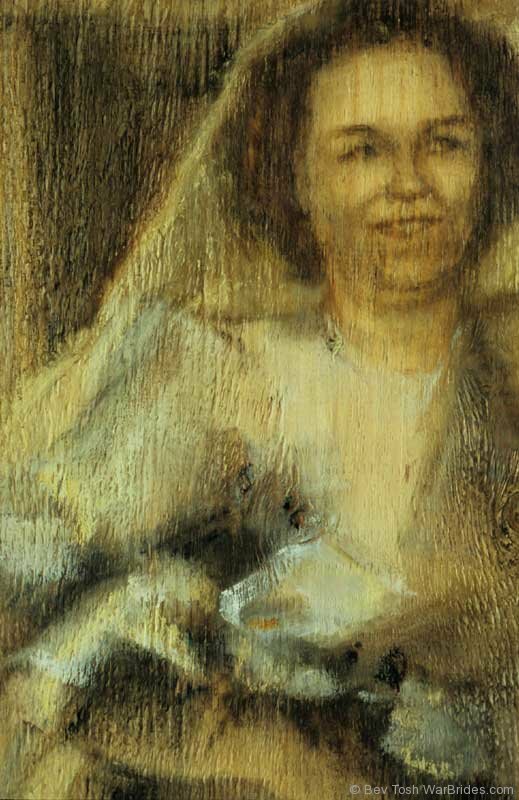 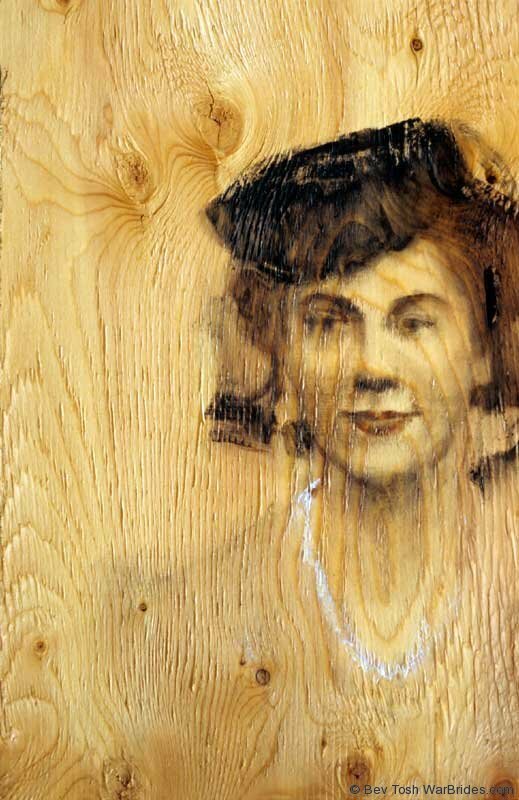 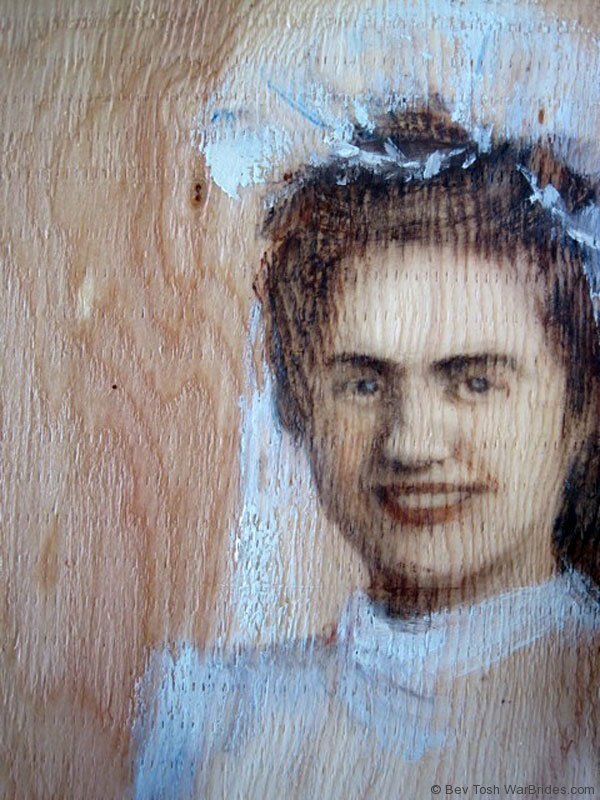 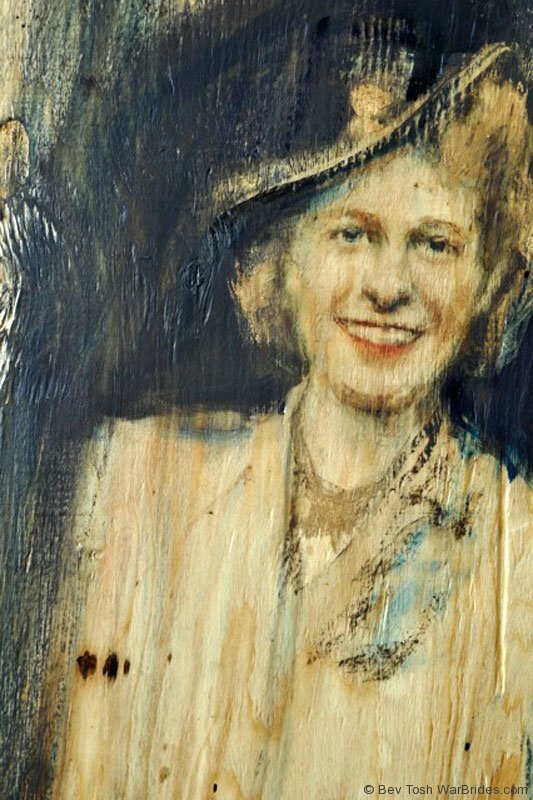 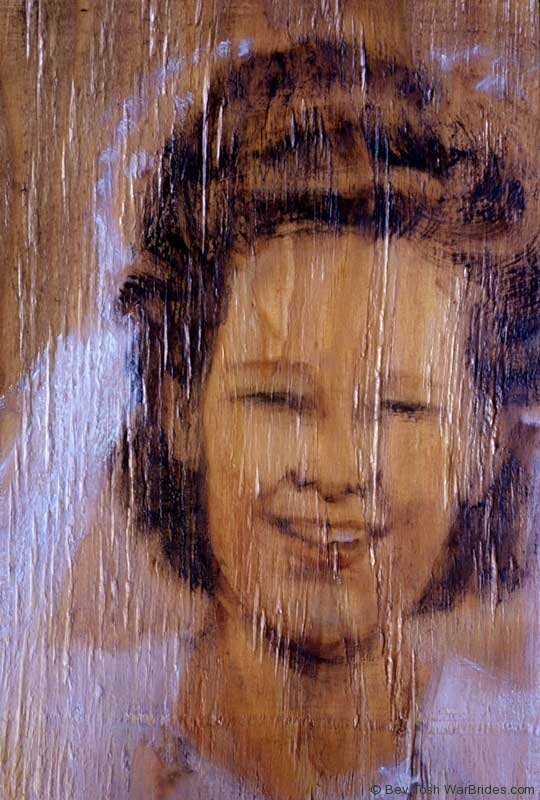 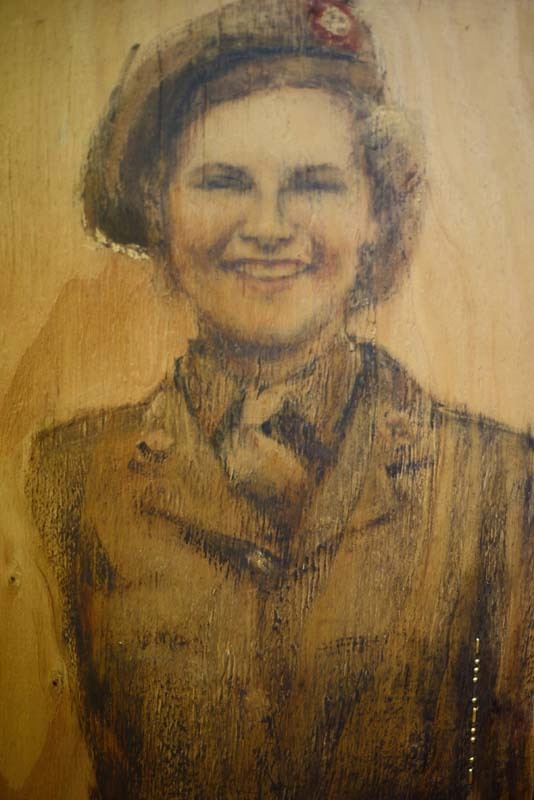 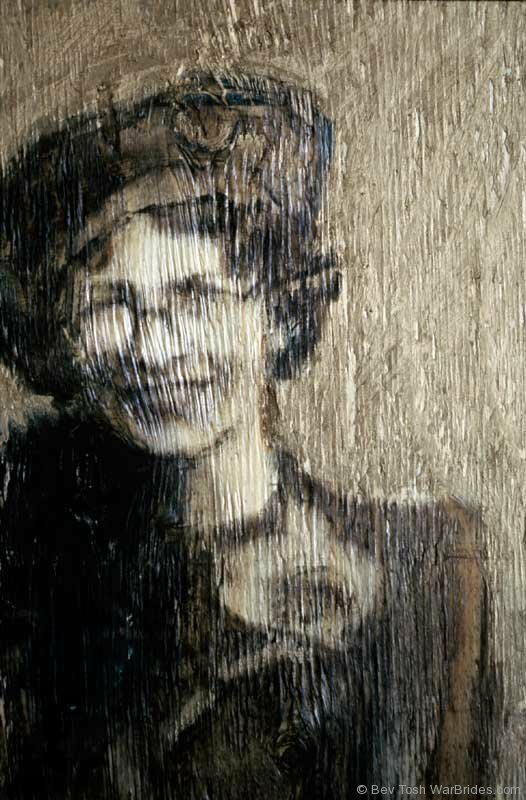 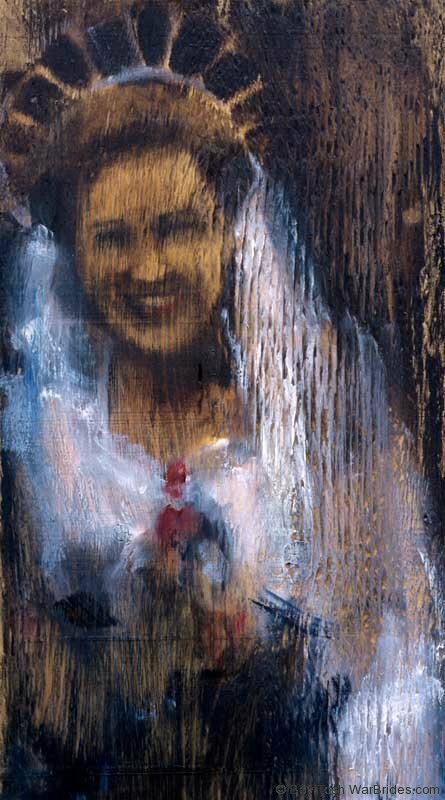 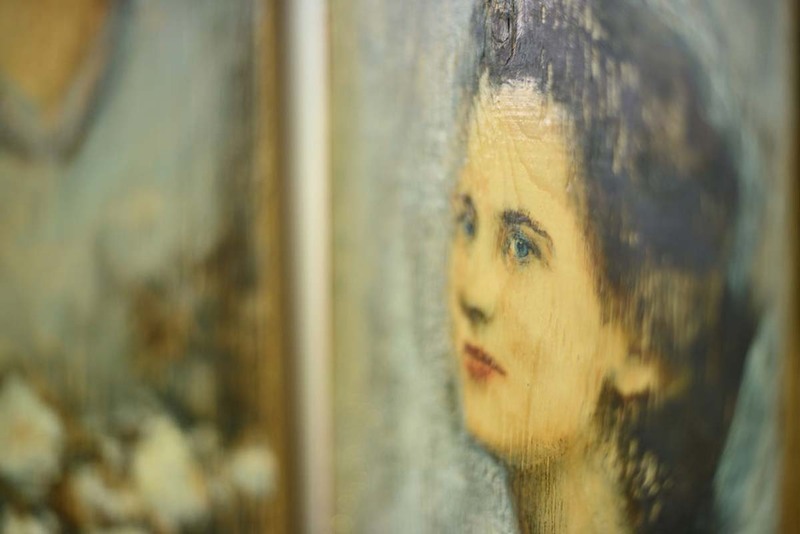 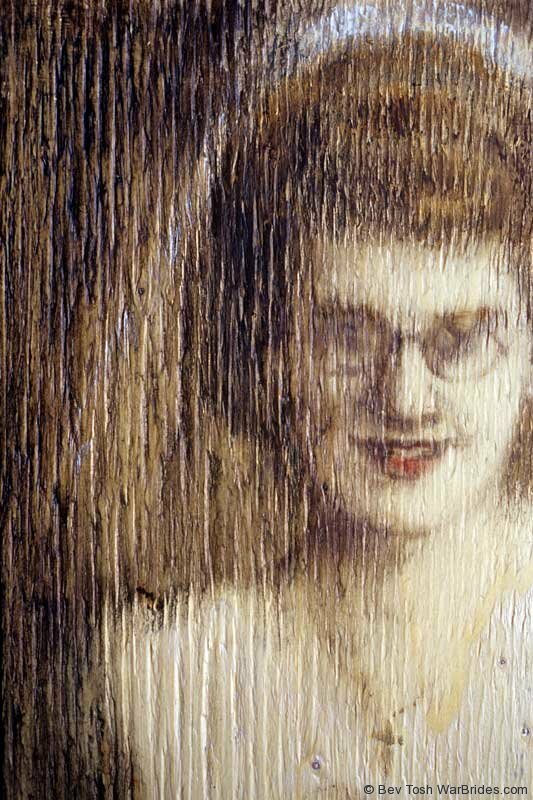 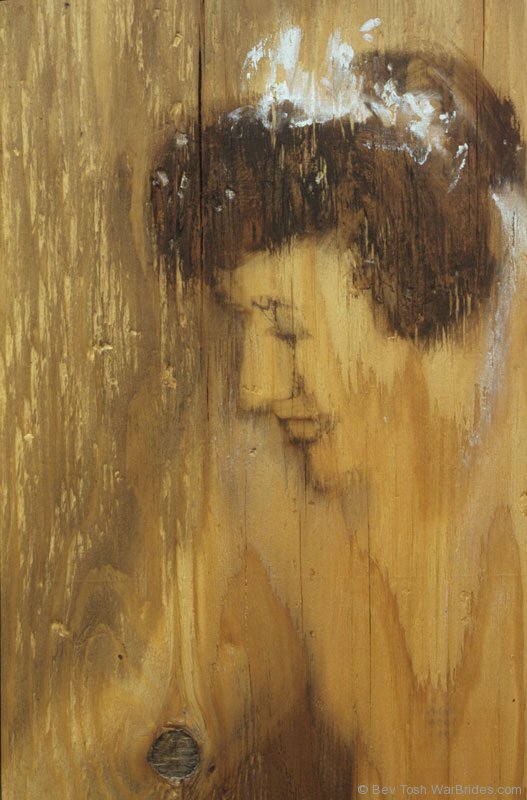 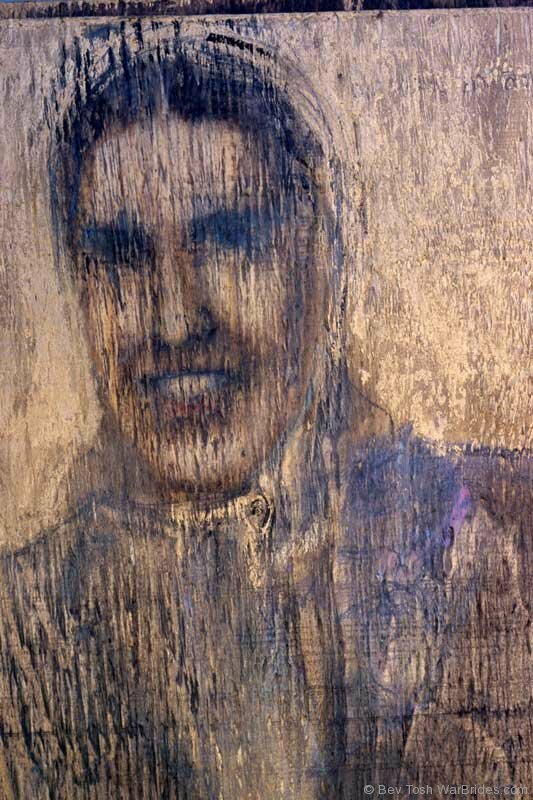 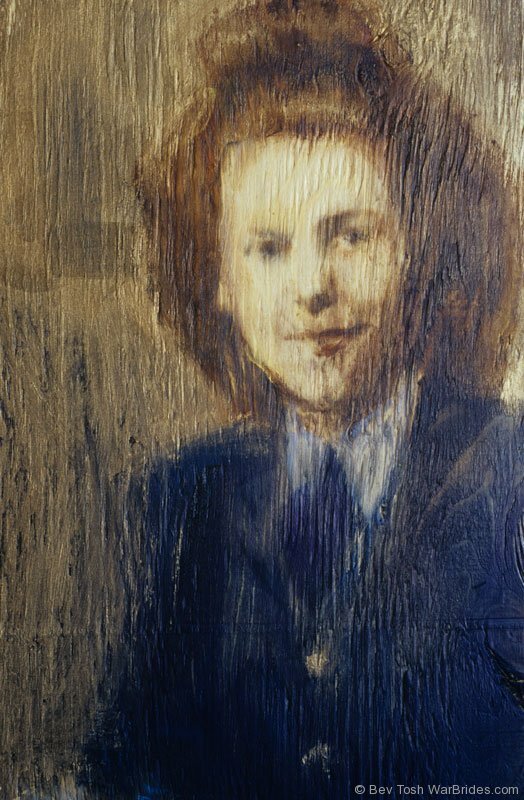 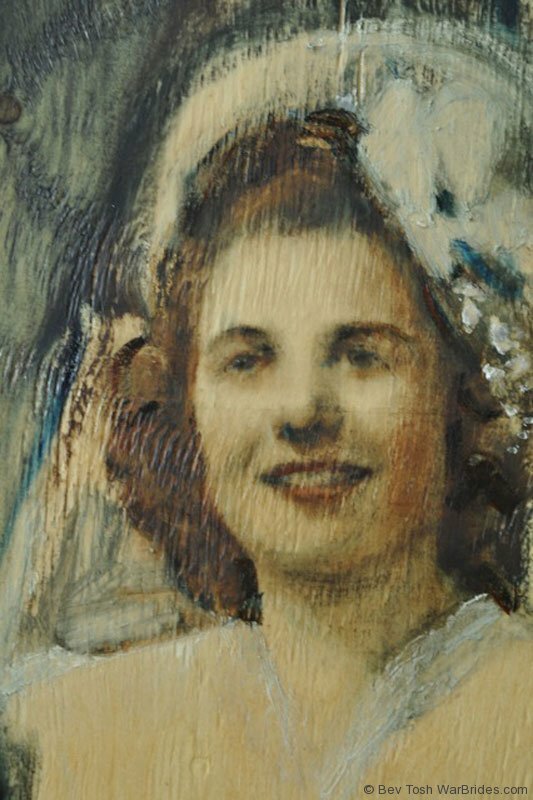 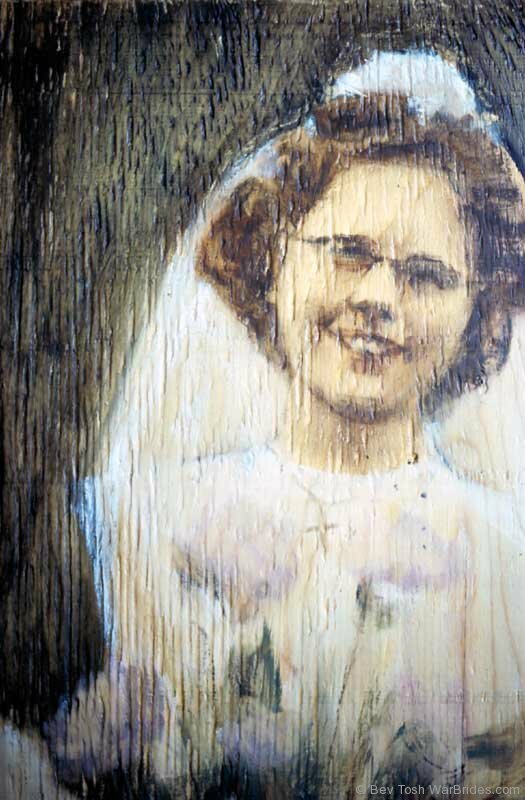 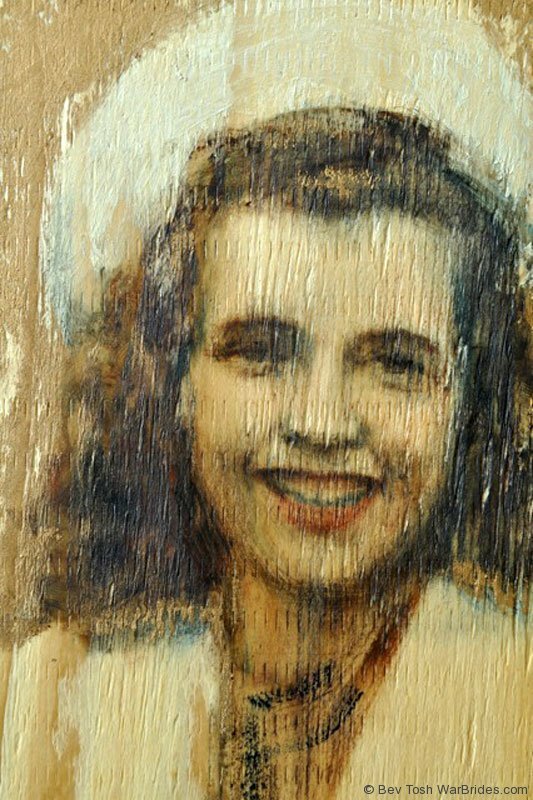 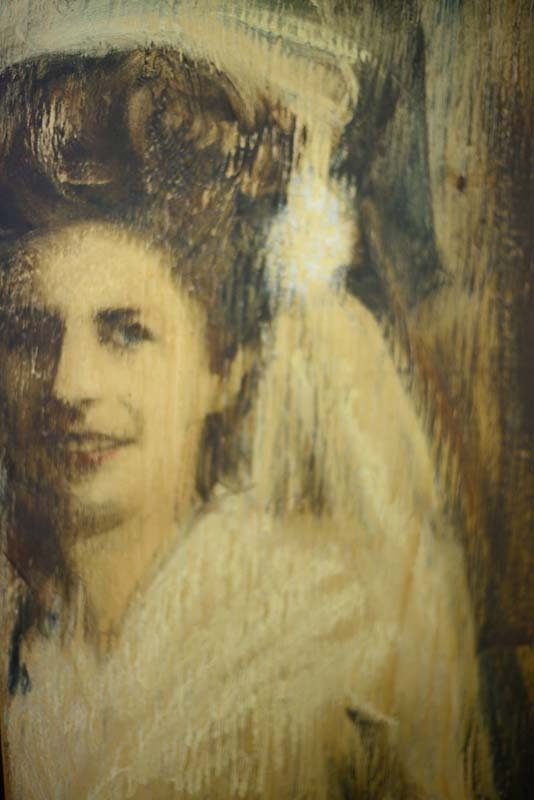 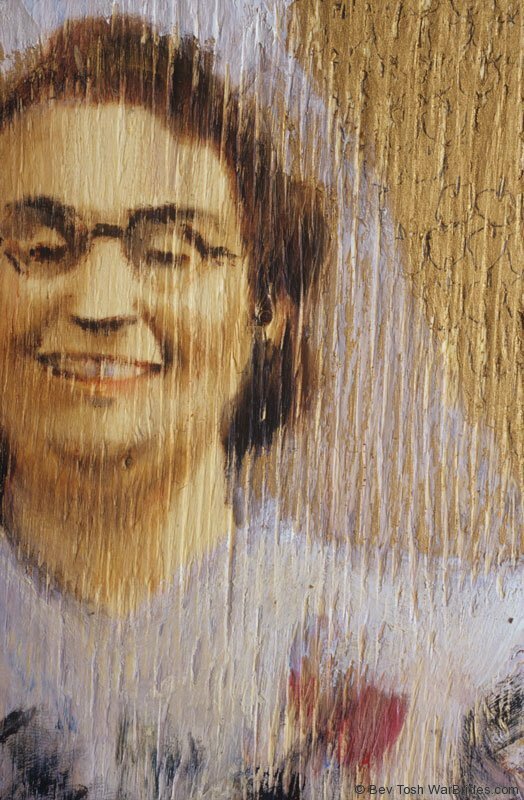 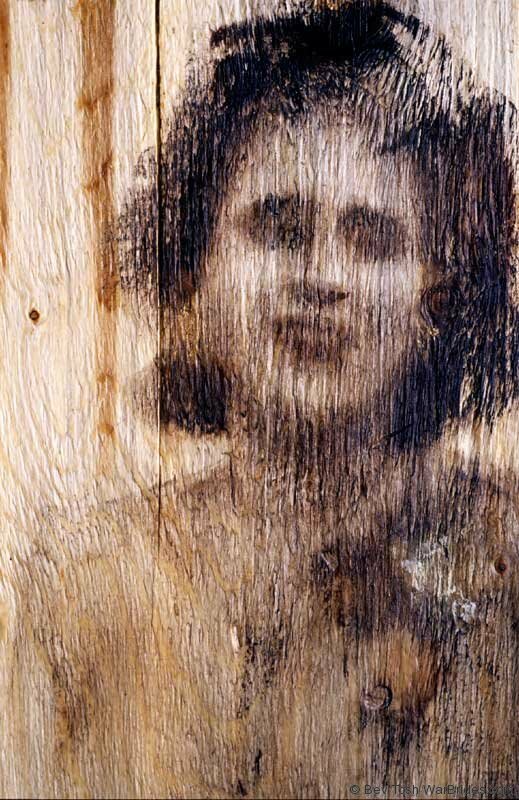 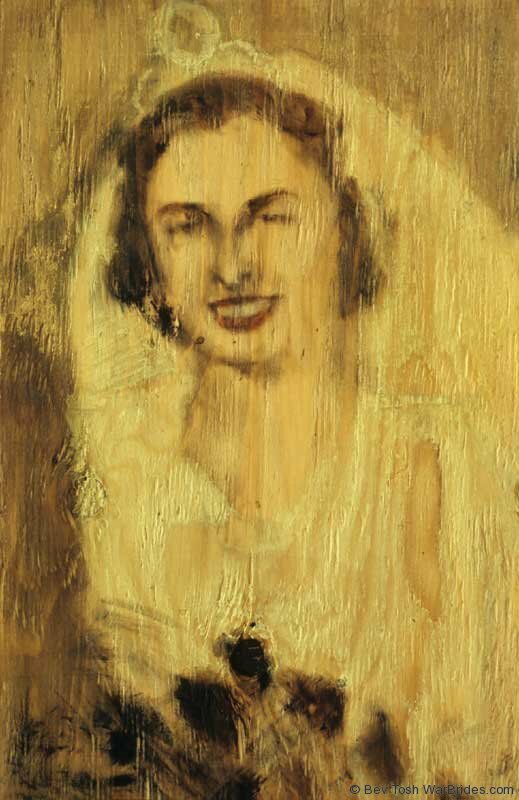 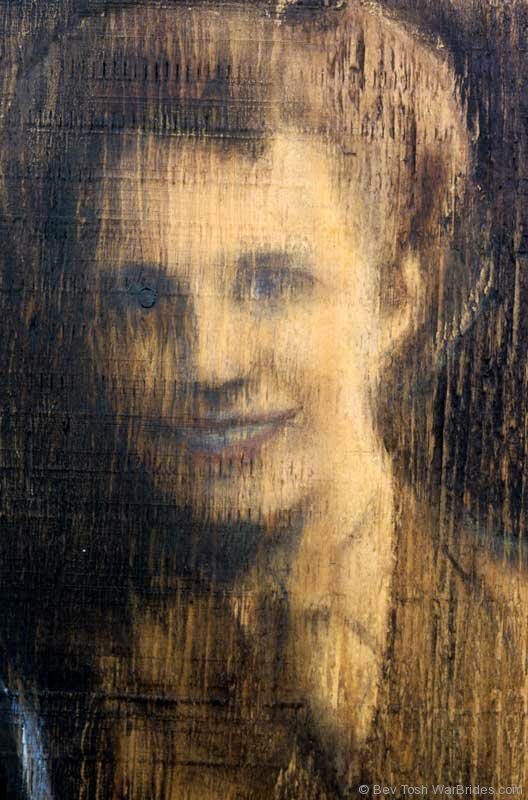 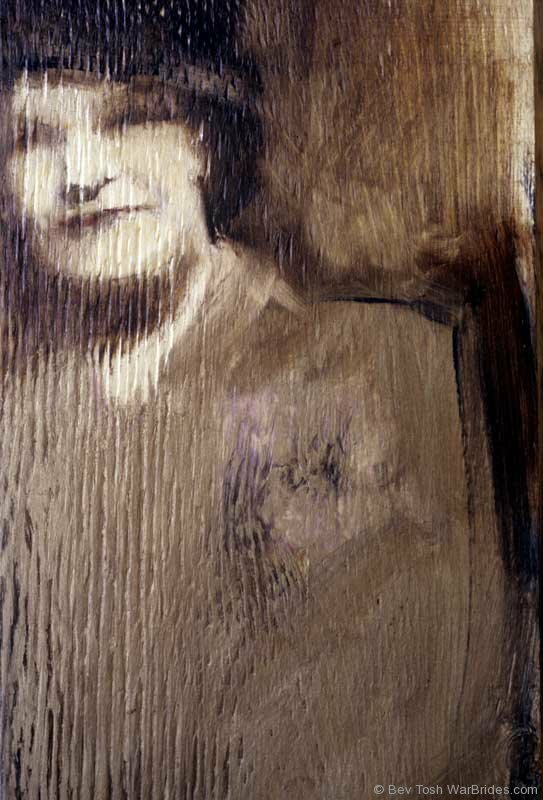 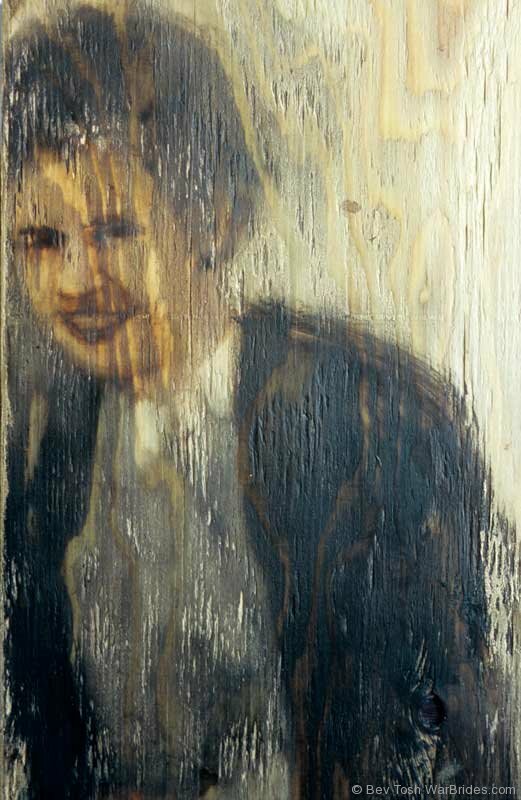 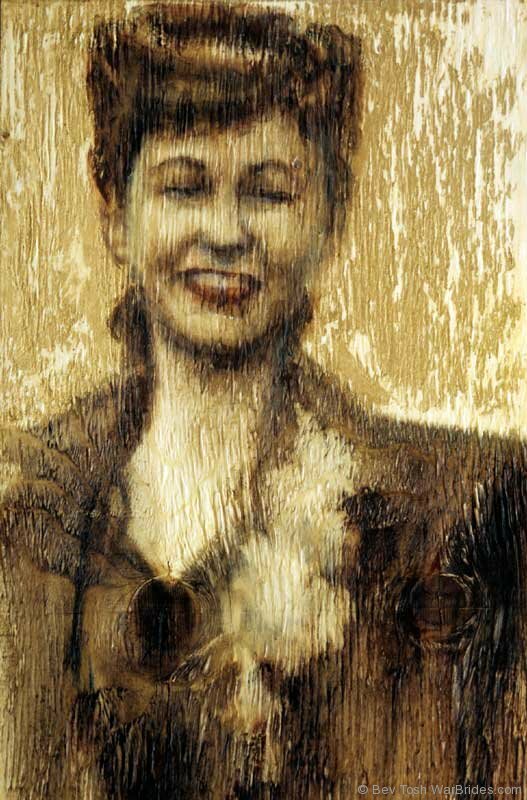 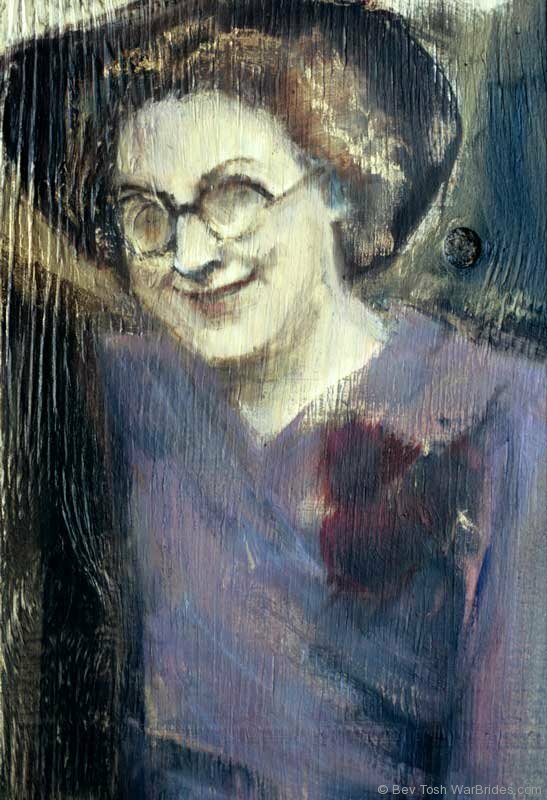 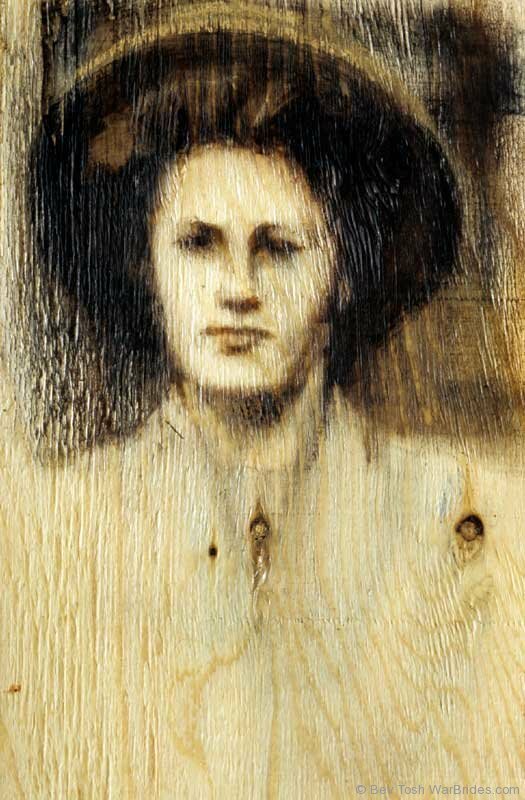 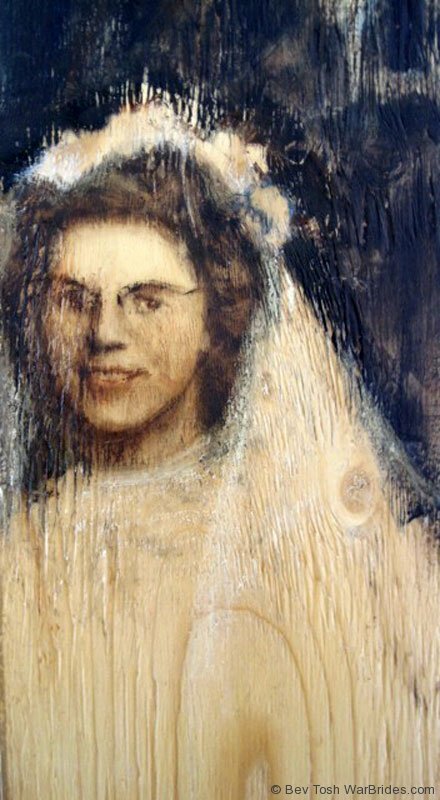 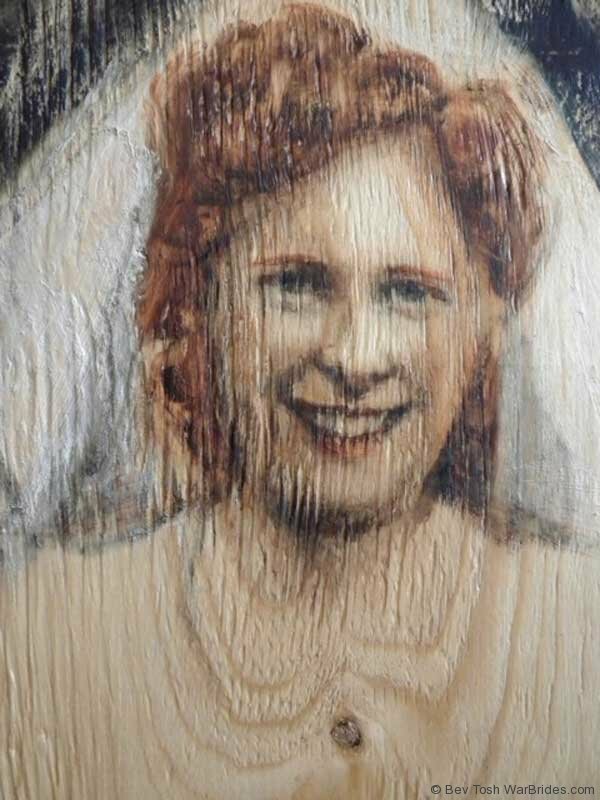 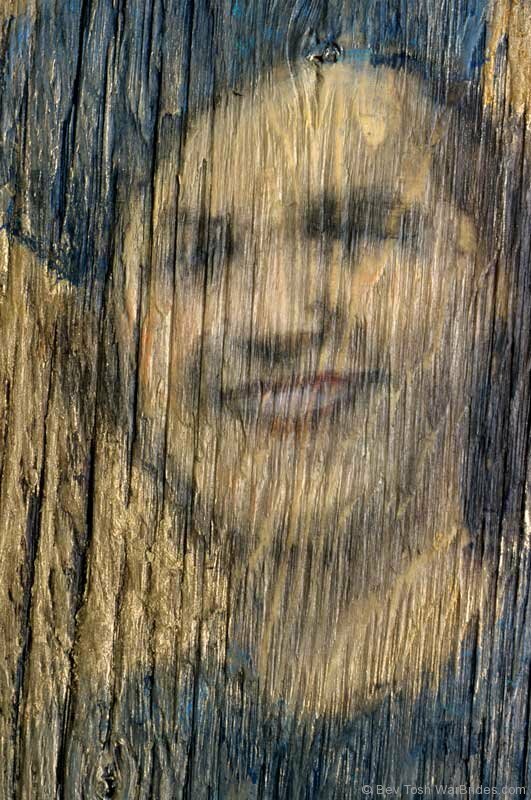 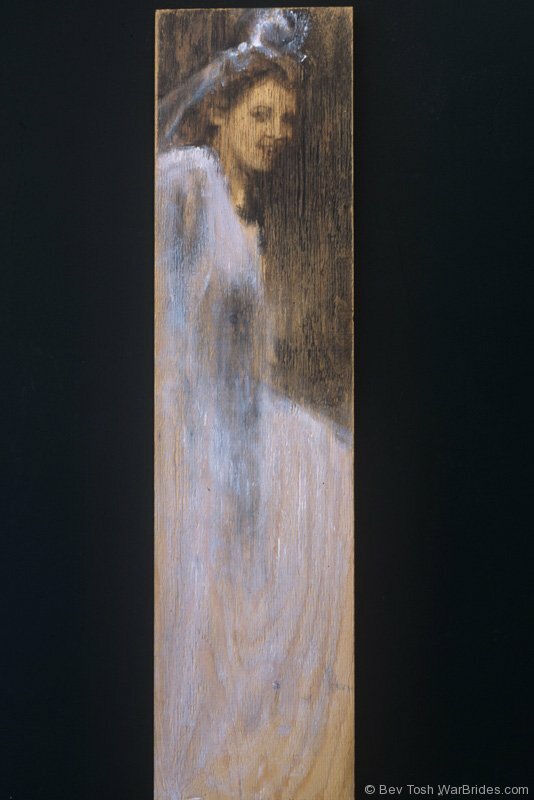 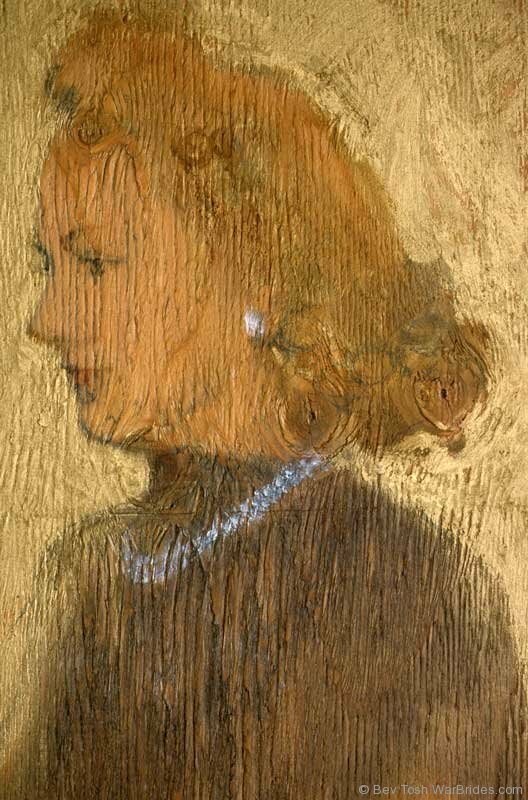 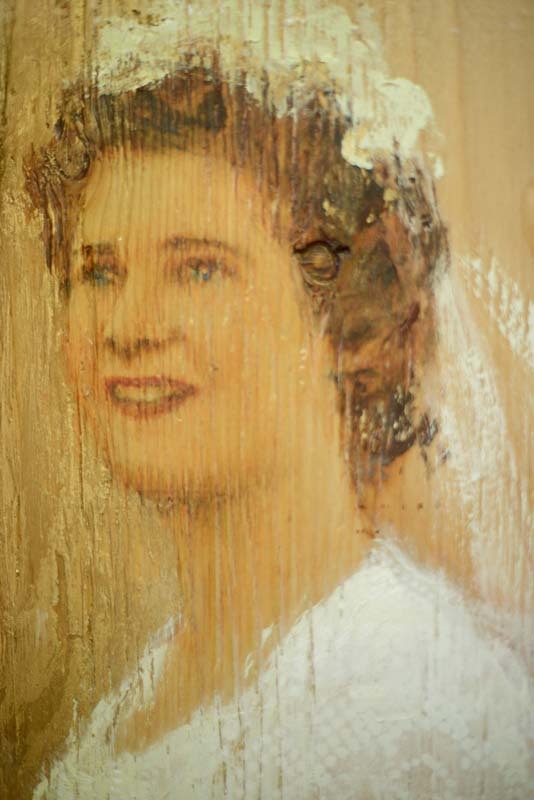 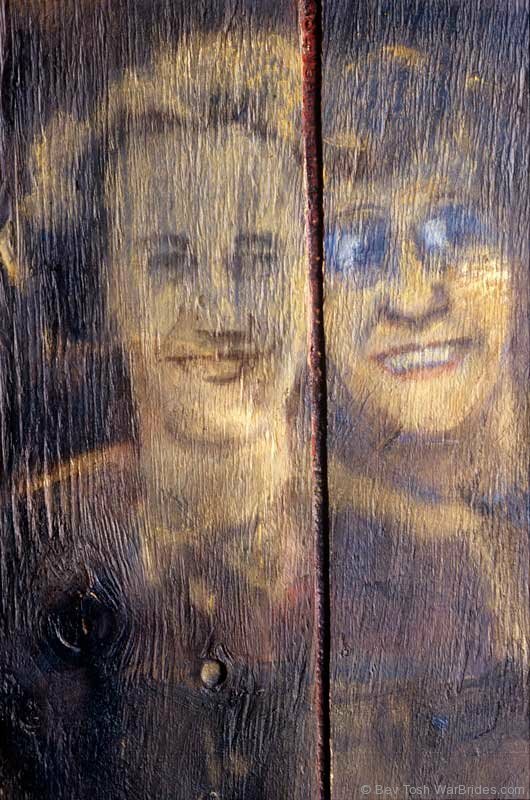 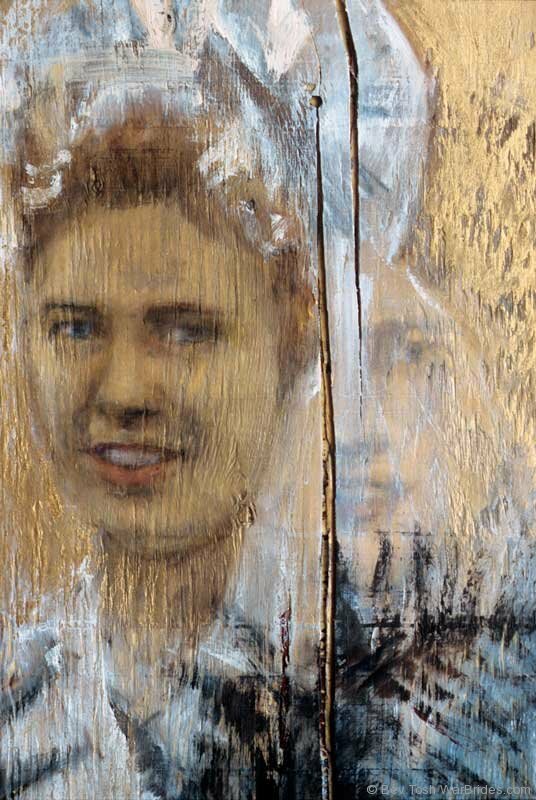 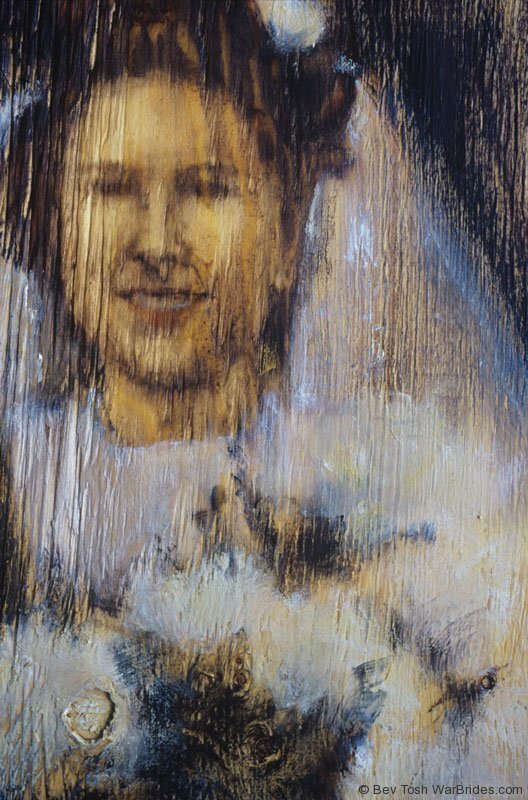 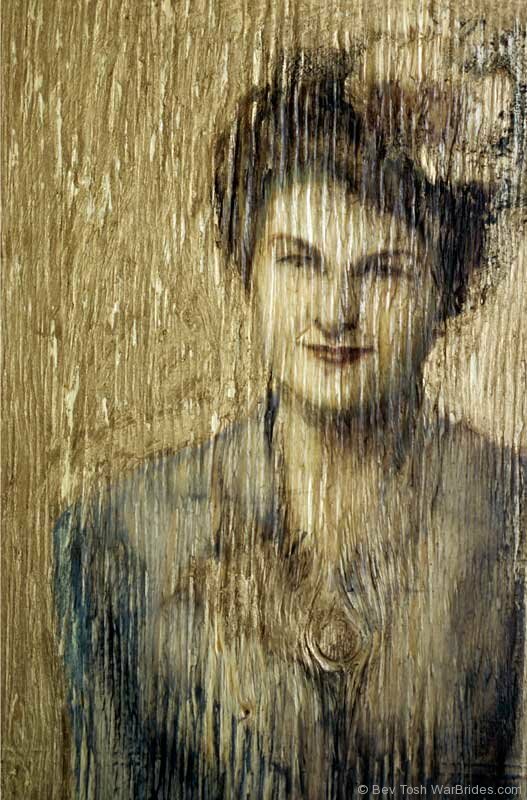 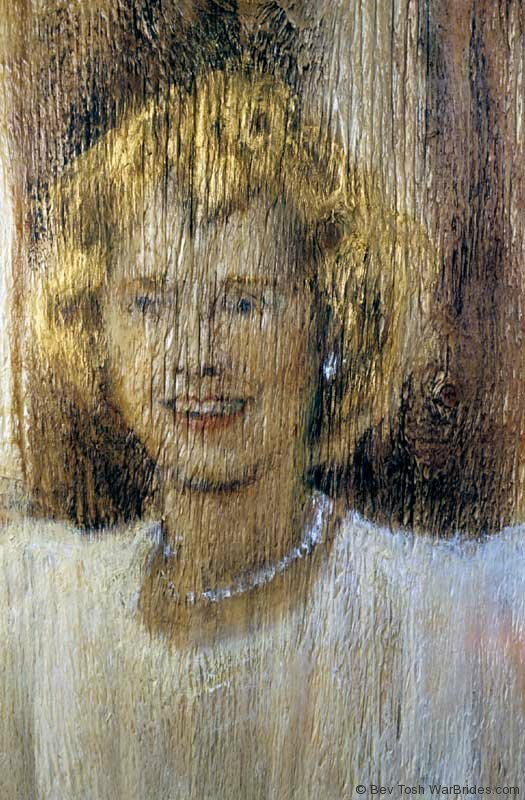 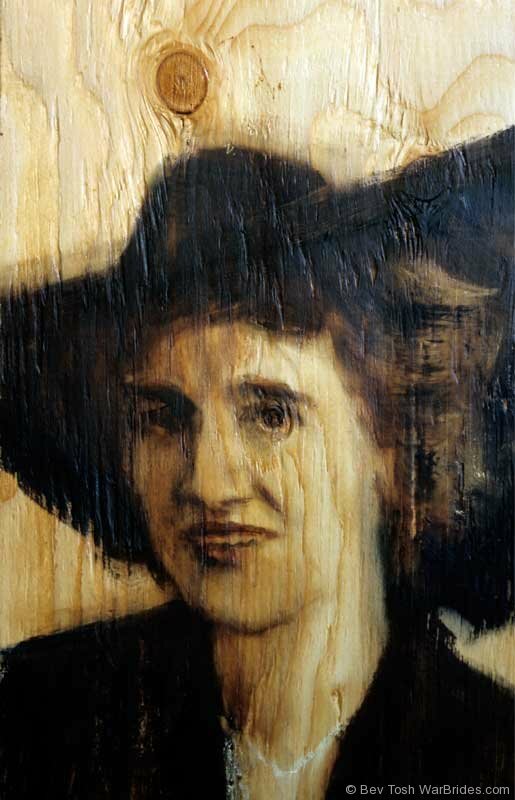 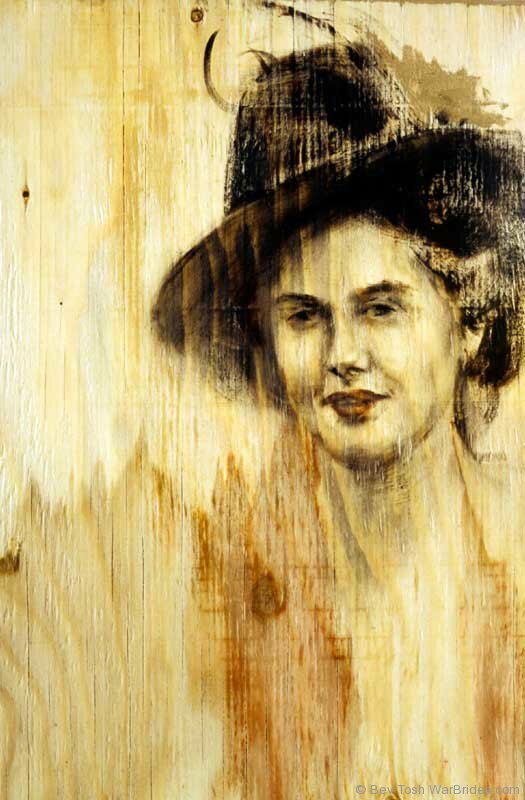 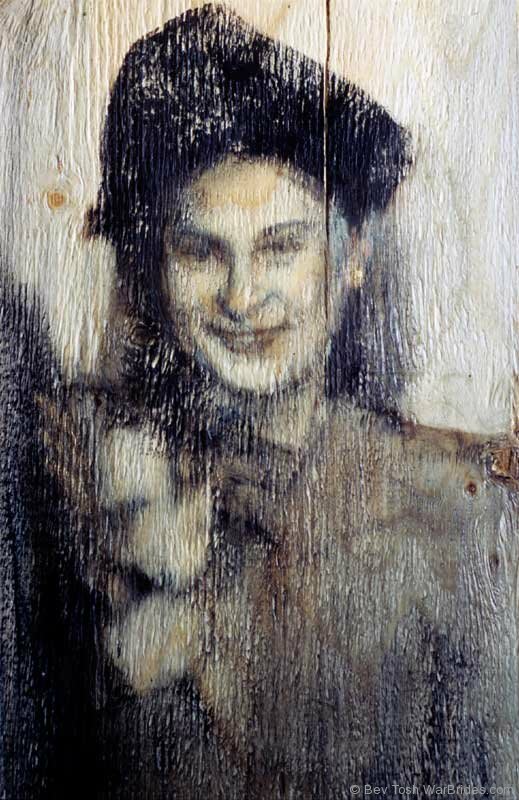 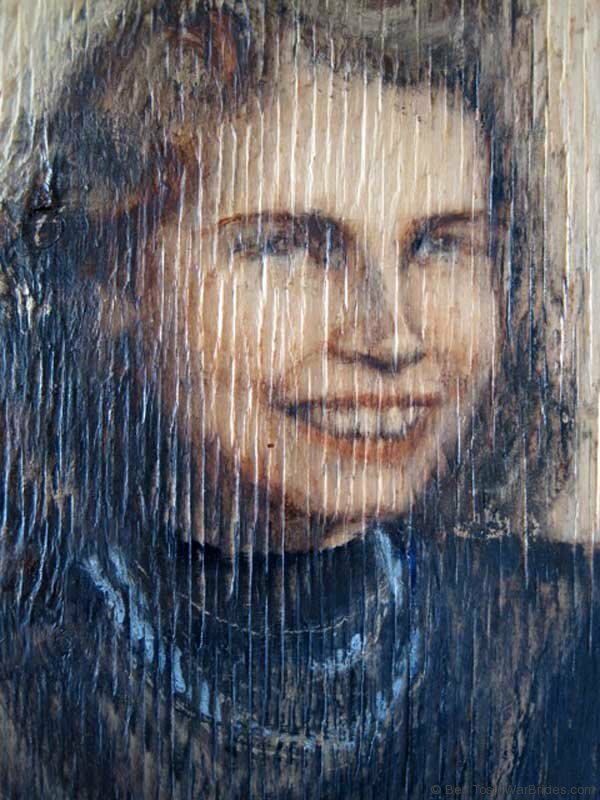 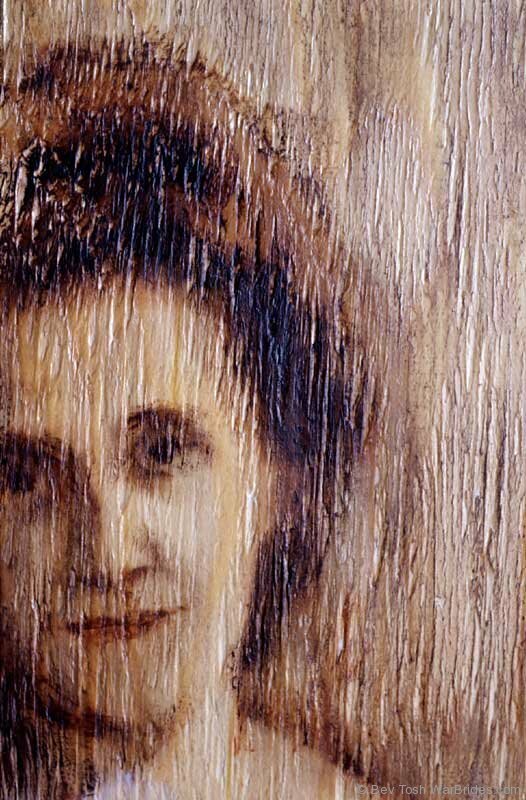 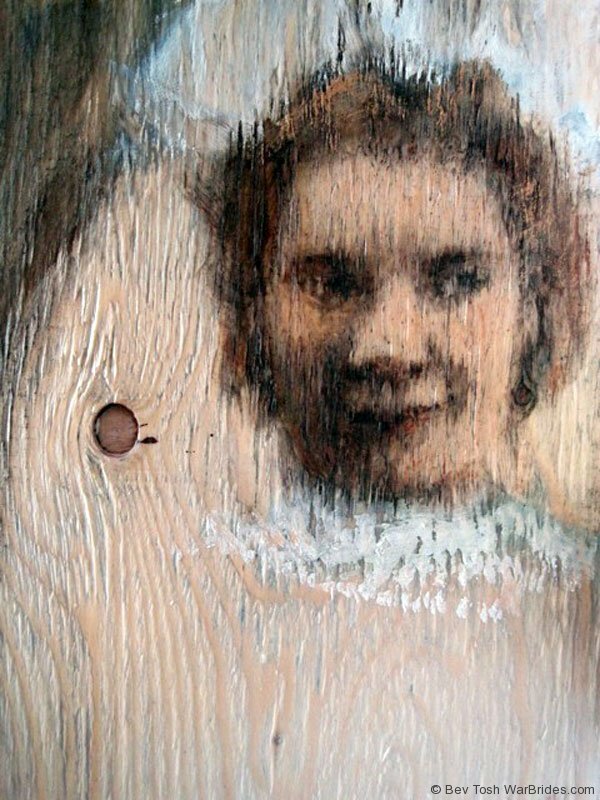 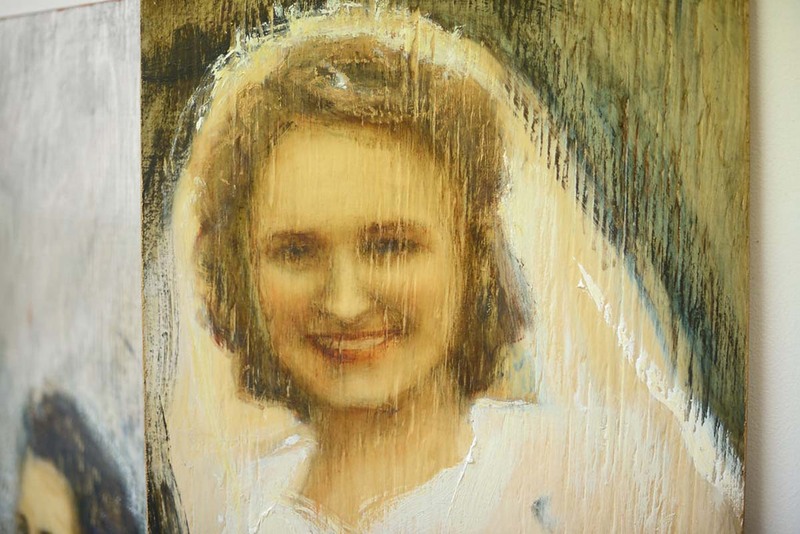 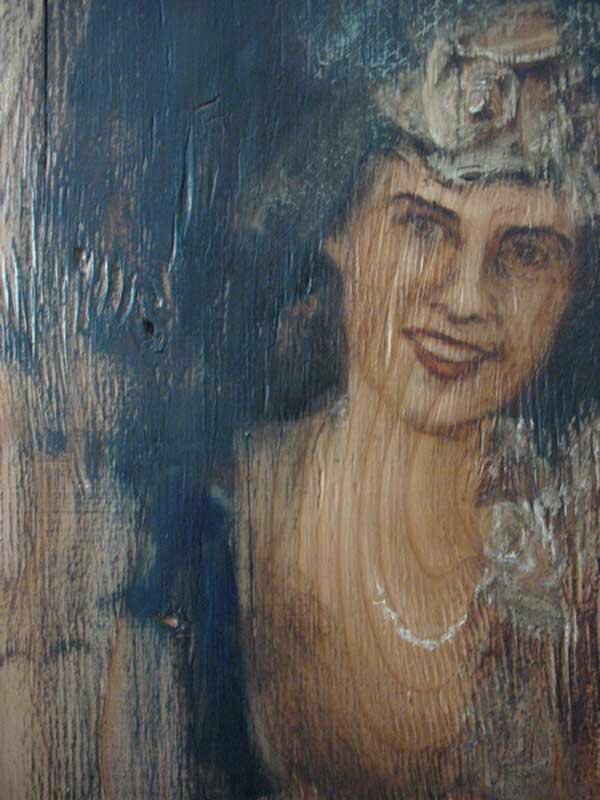 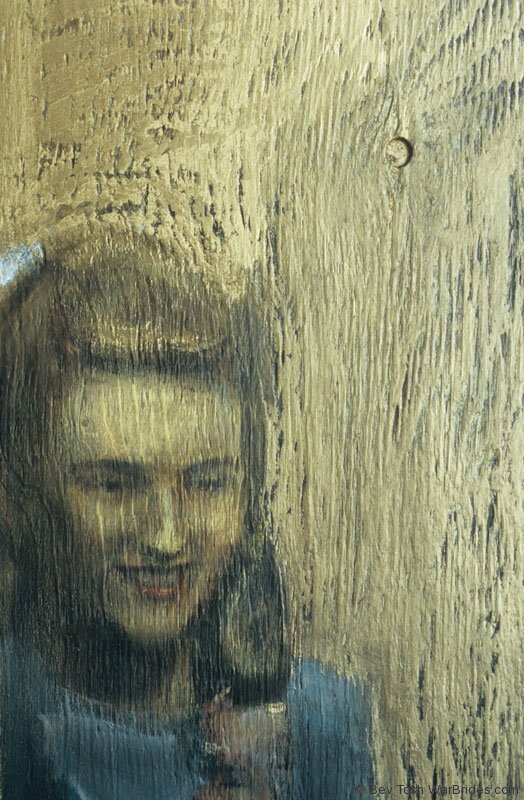 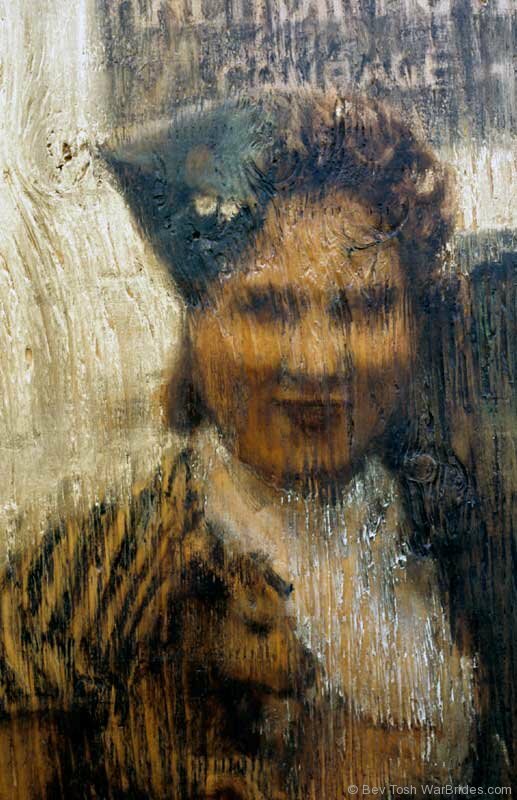 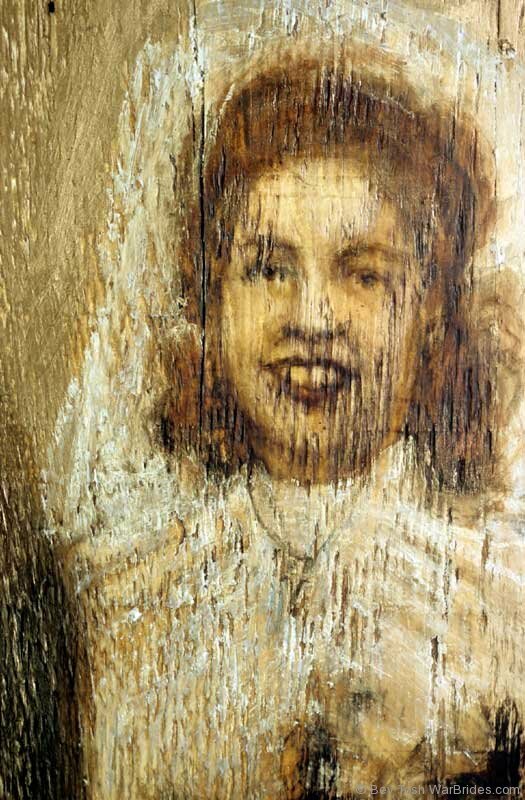 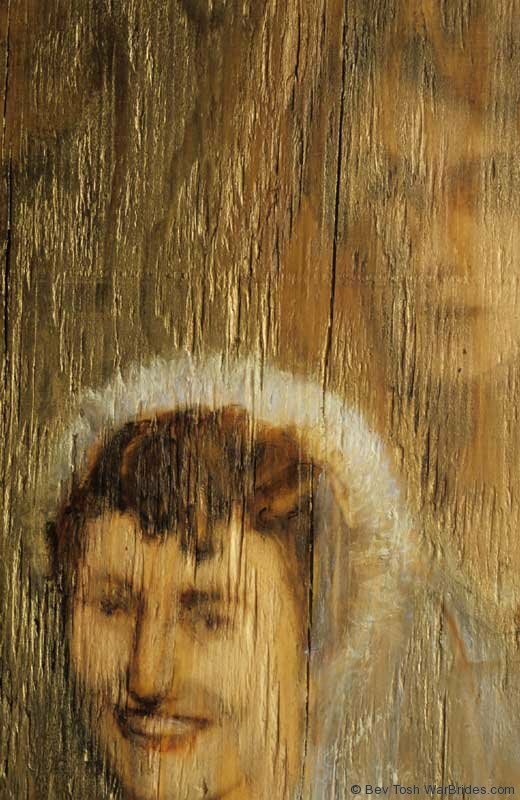 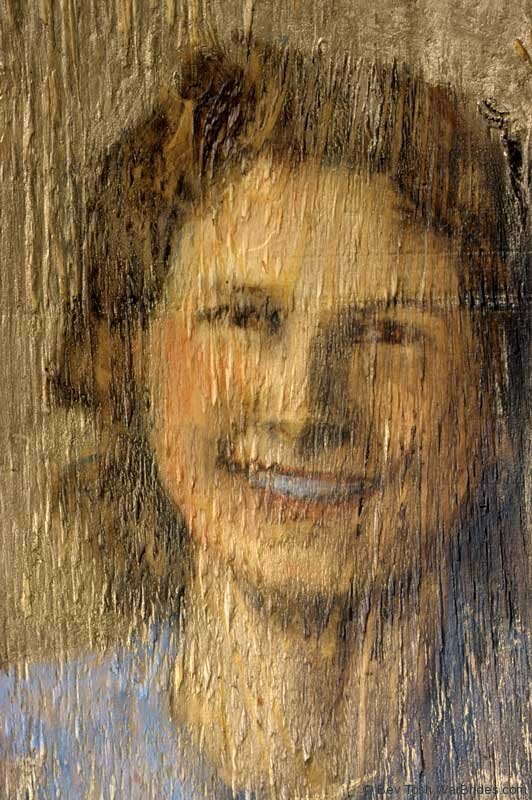 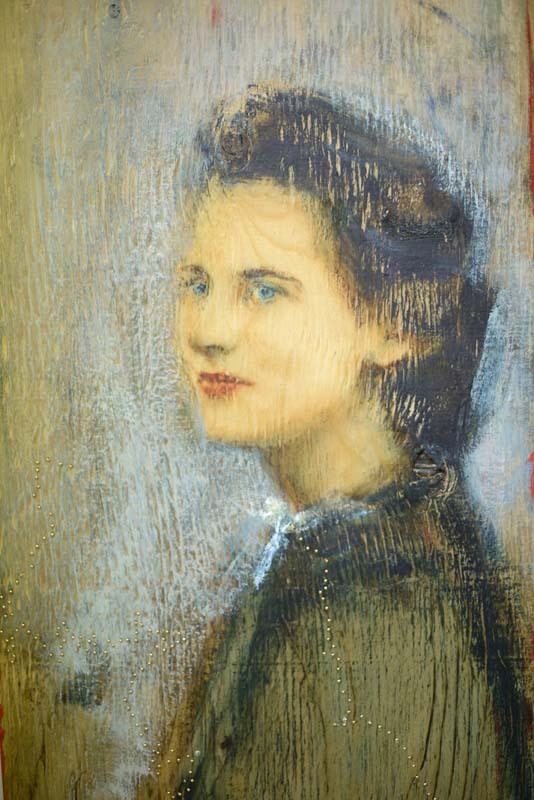 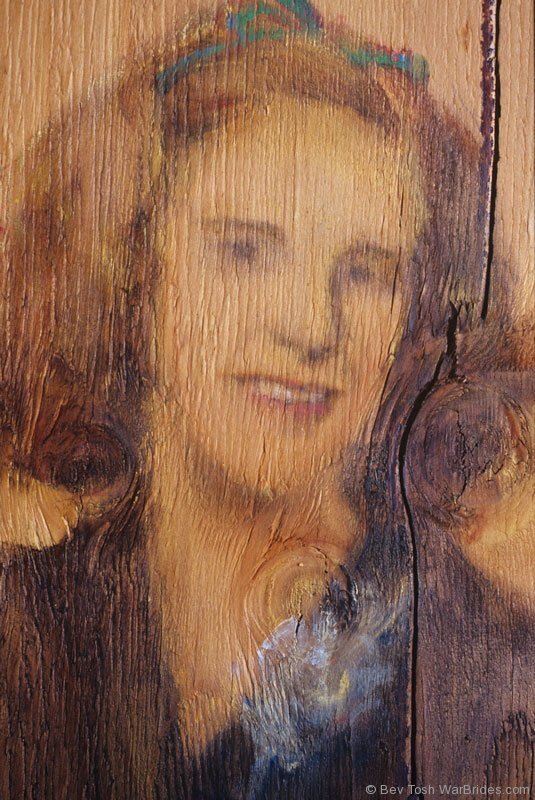 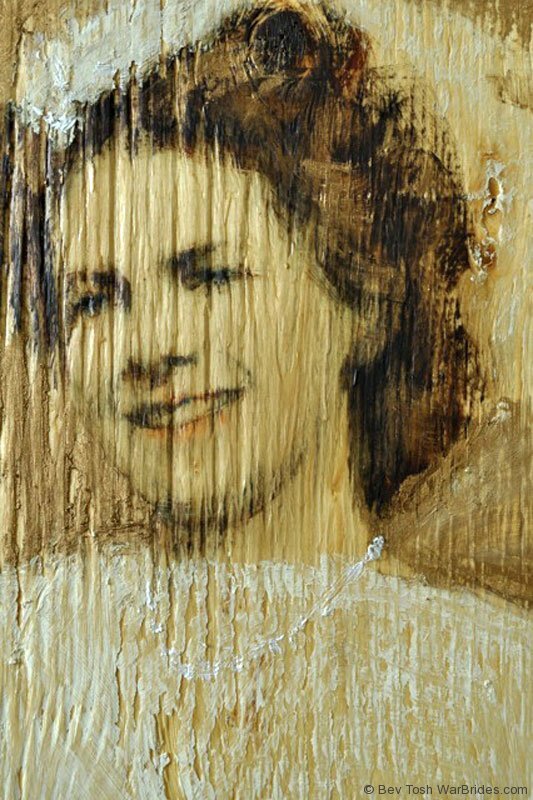 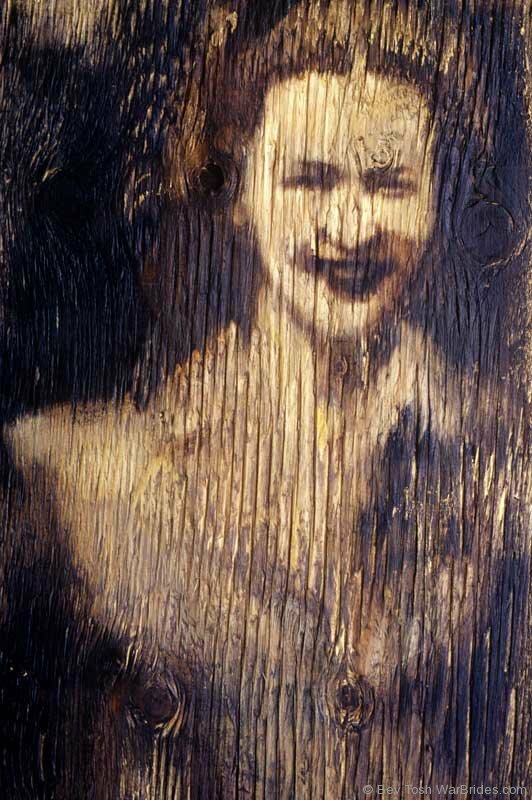 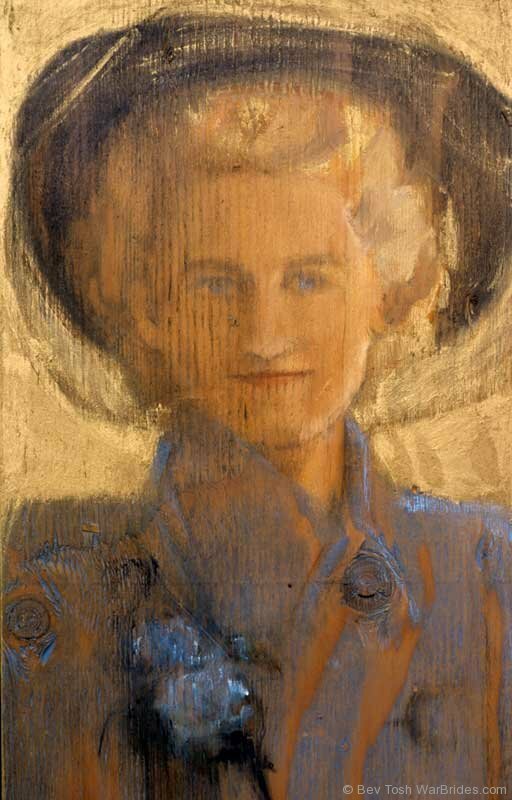 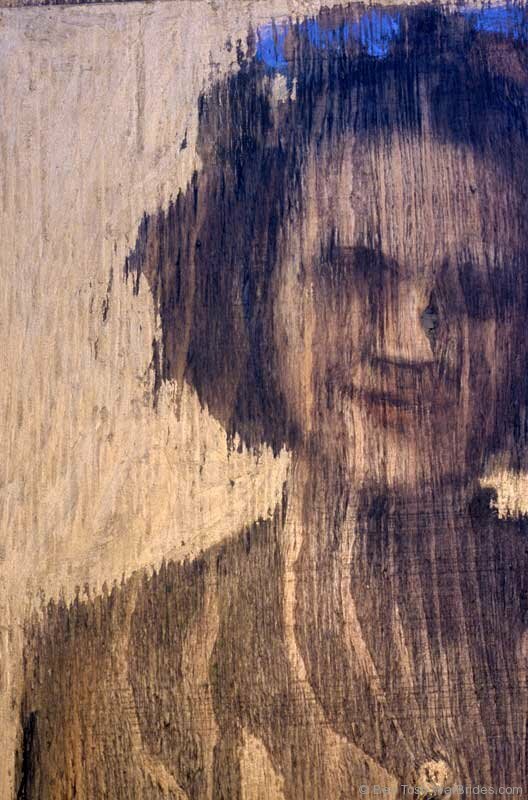 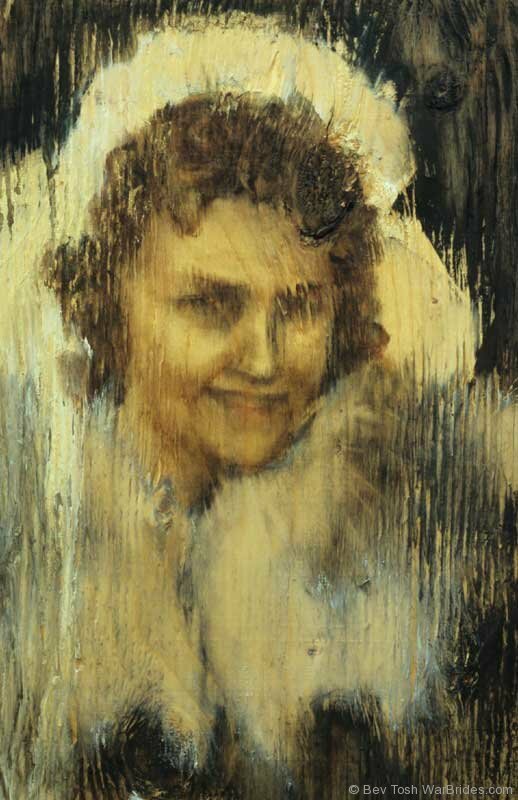 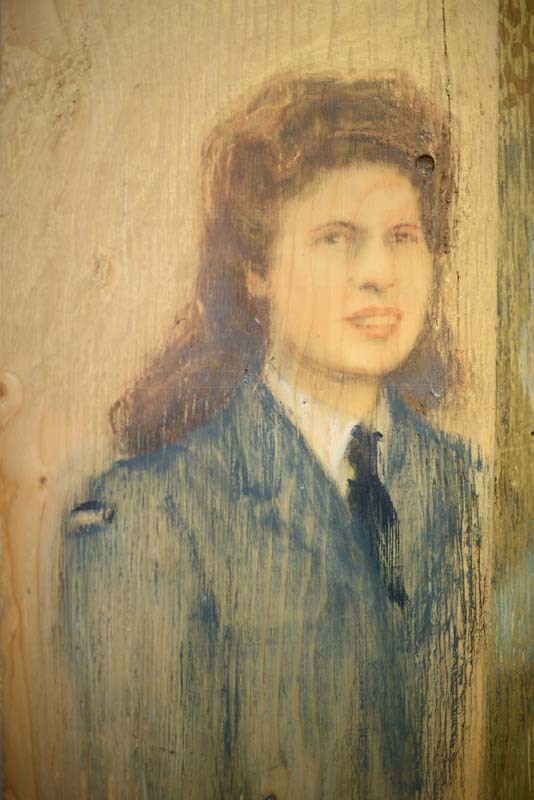 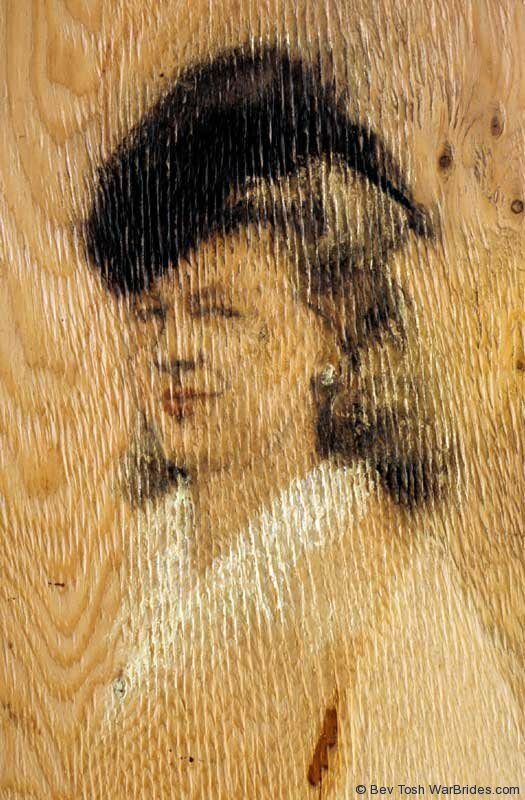 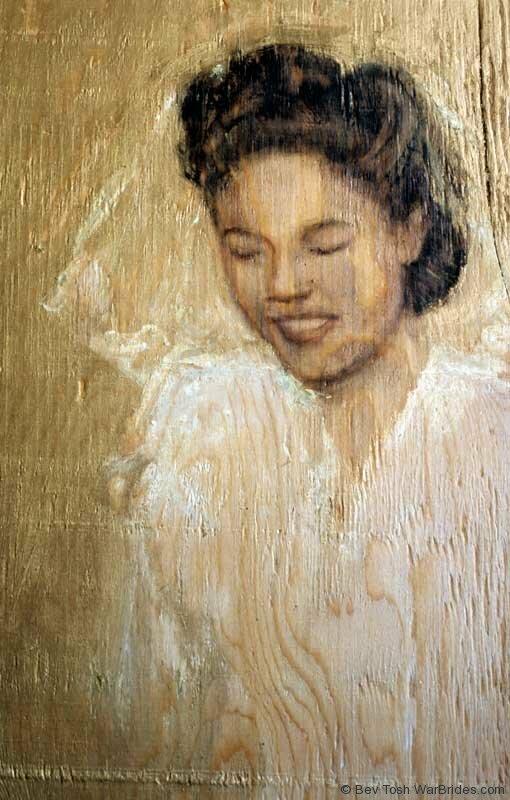 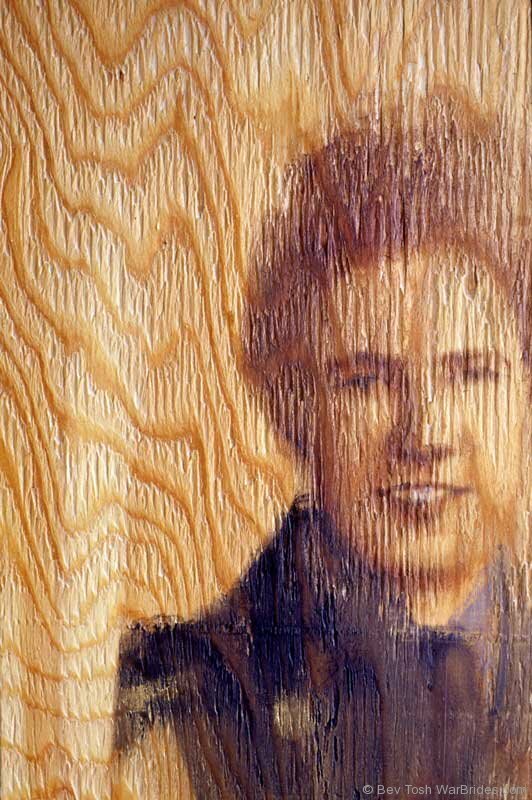 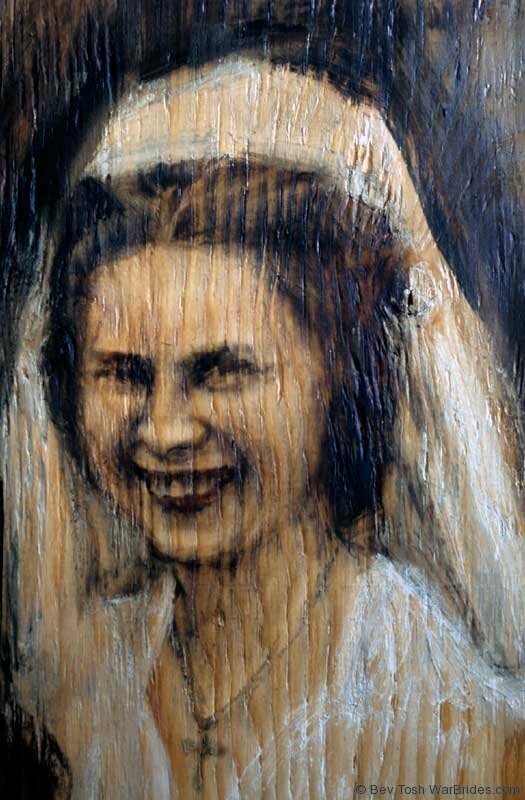 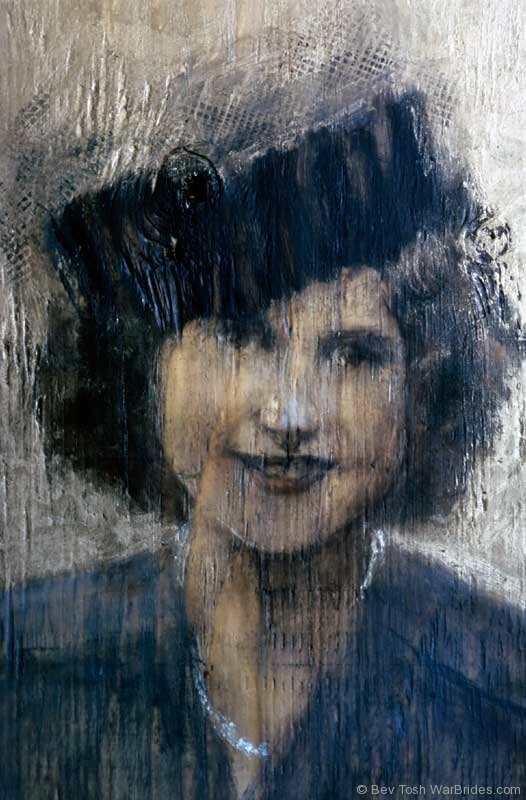 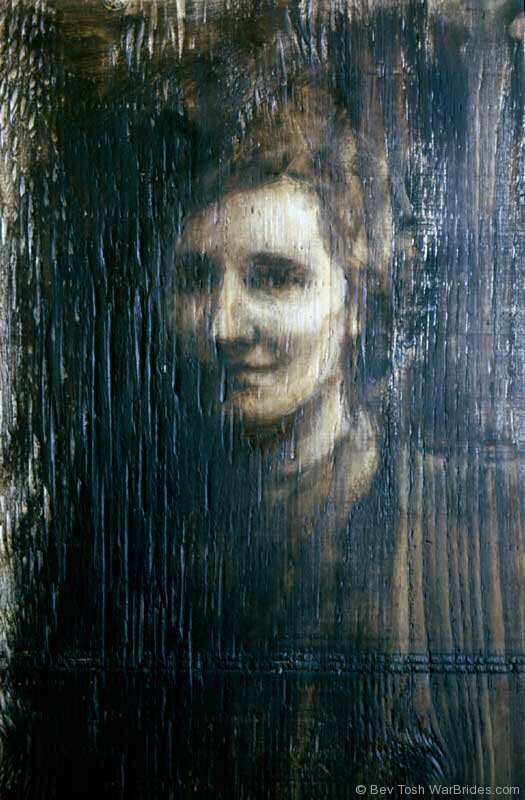 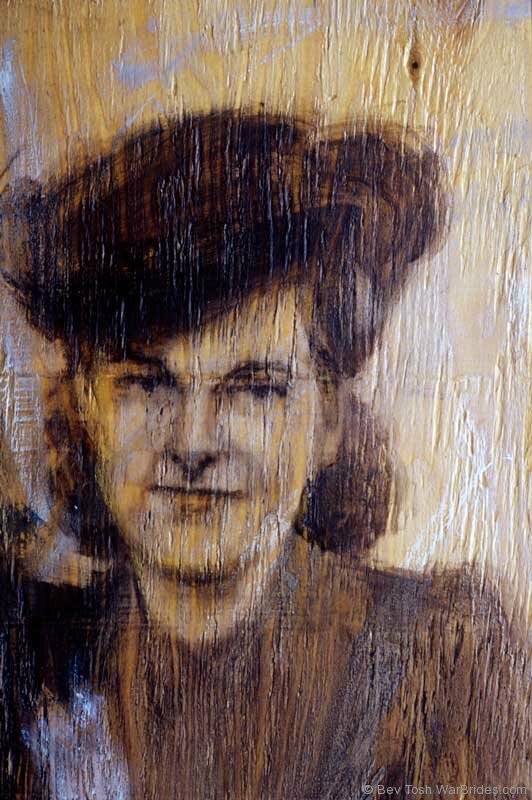 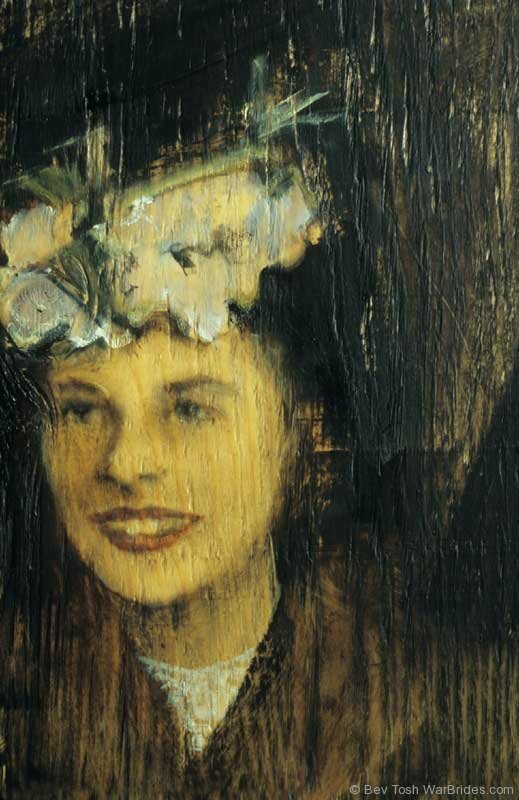 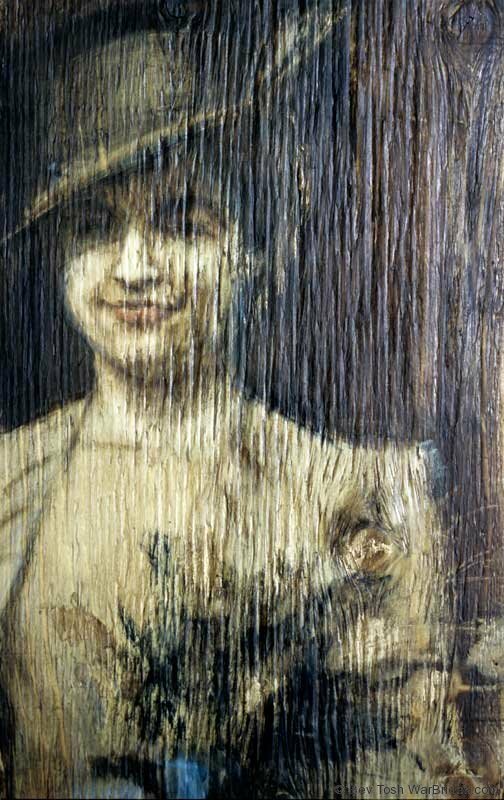 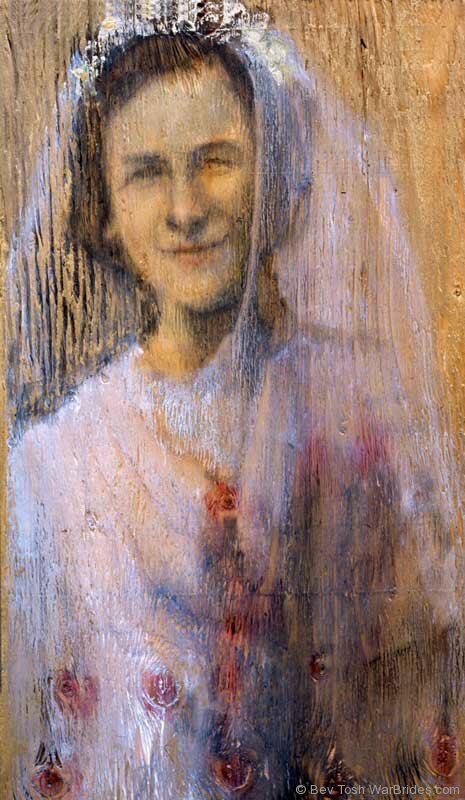 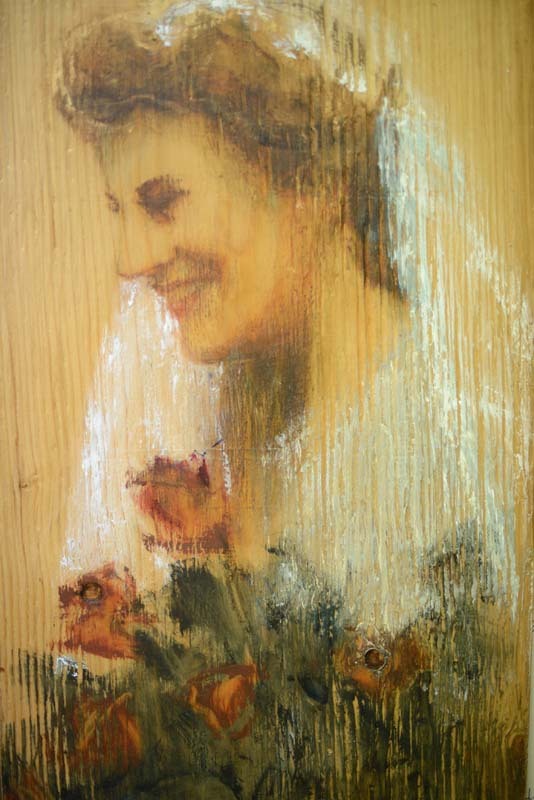 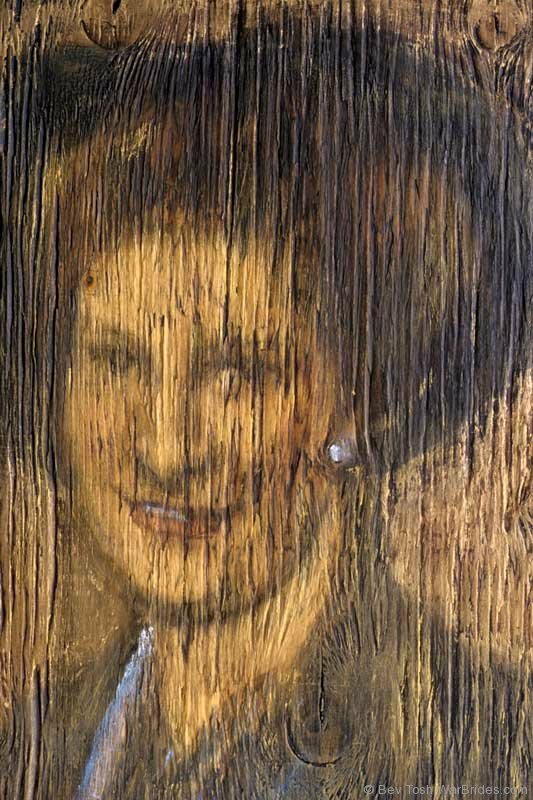 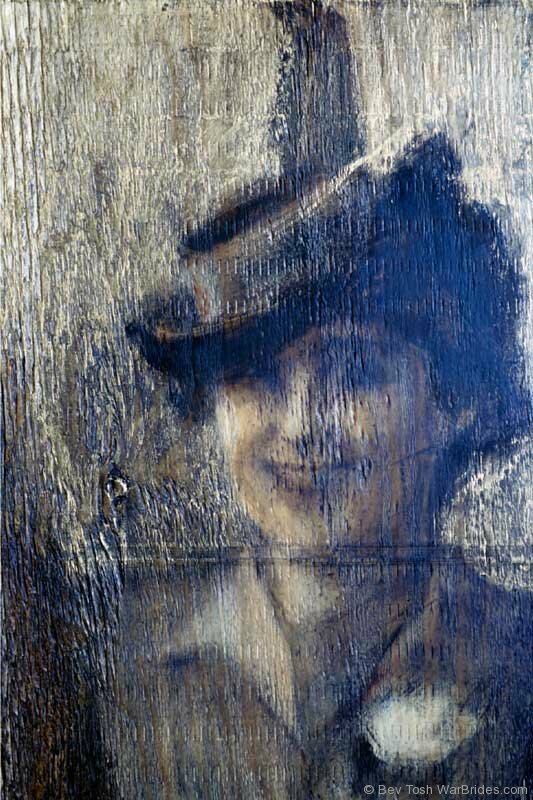 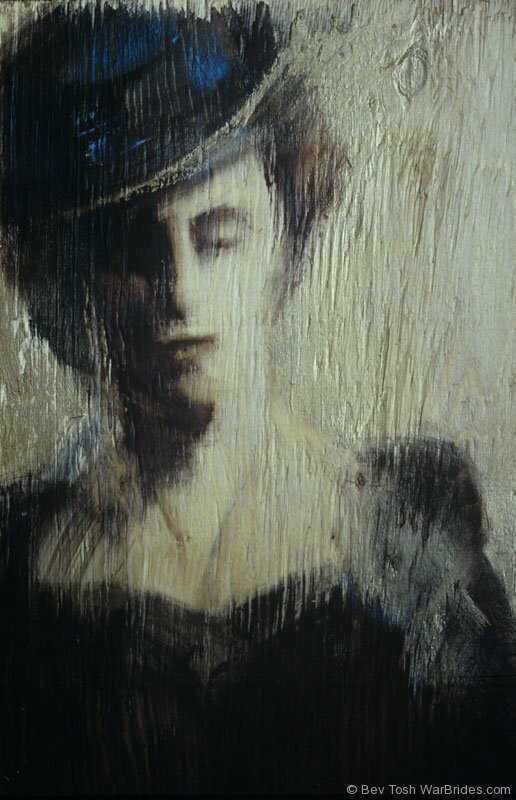 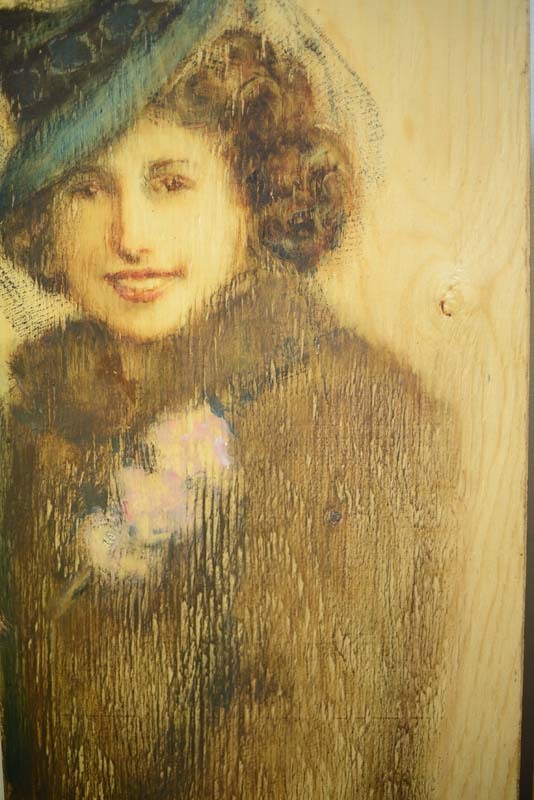 The naturally occurring knots and grain of the wooden boards emphasize each subject’s character and dress. 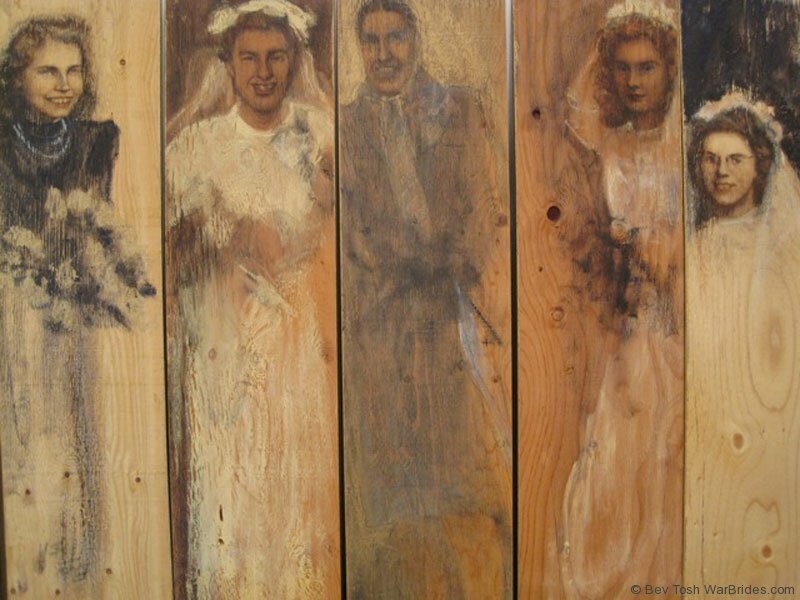 Positioned Shoulder-to-Shoulder, they lean together to suggest the war brides’ mutual support. 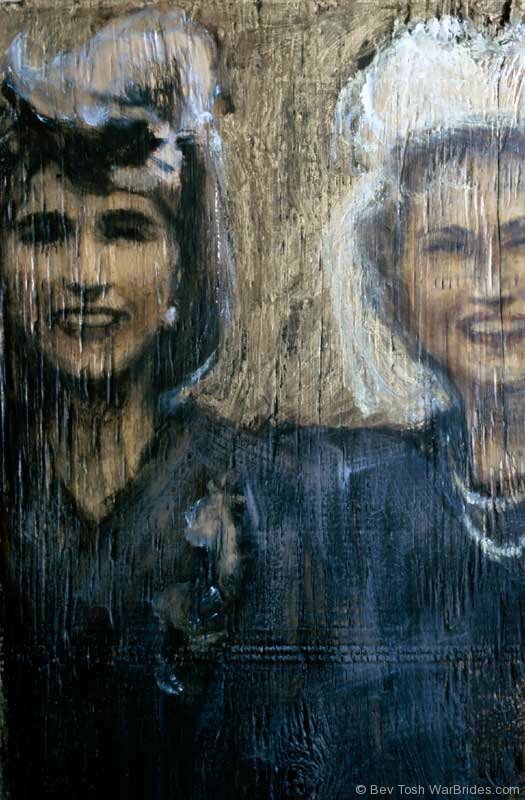 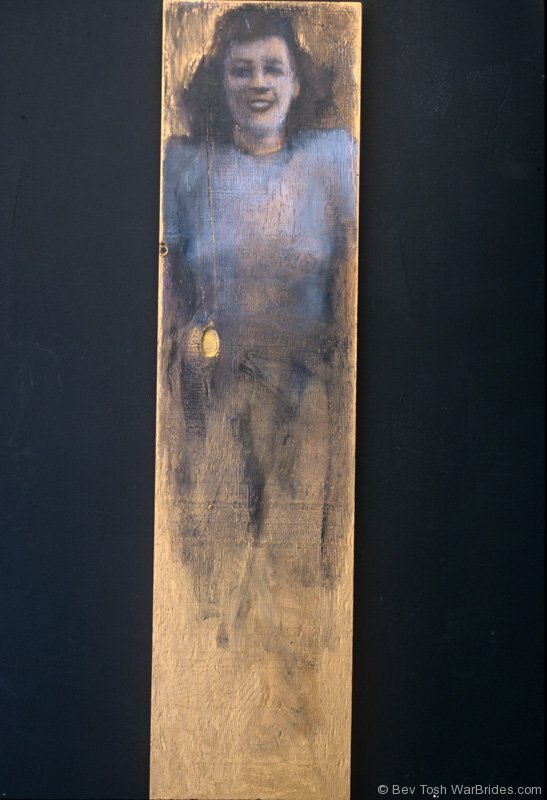 The paintings rest on blocks of wood resembling railroad ties, inscribed with the names of the women’s destinations.